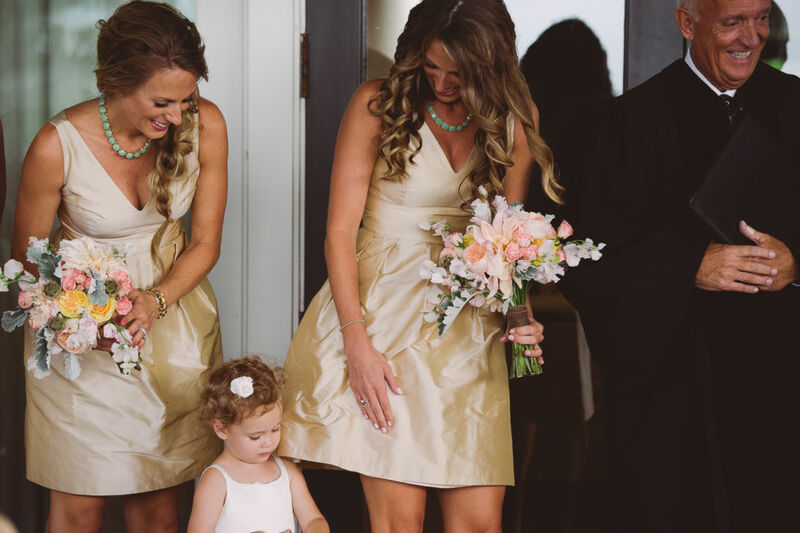 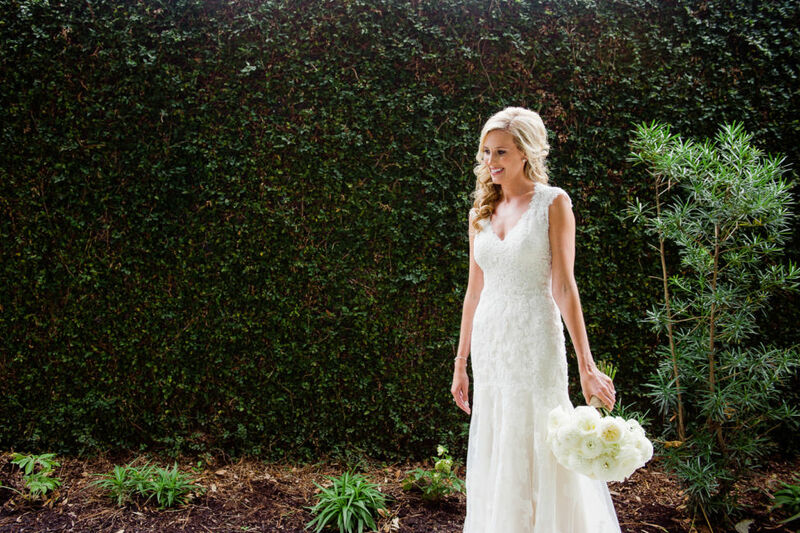 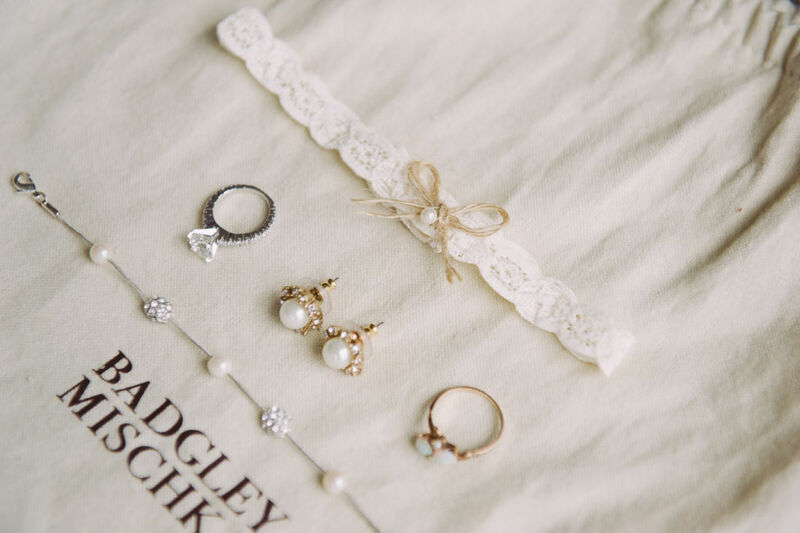 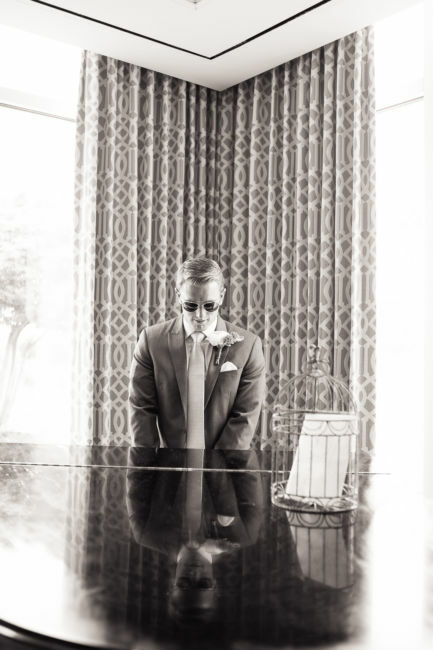 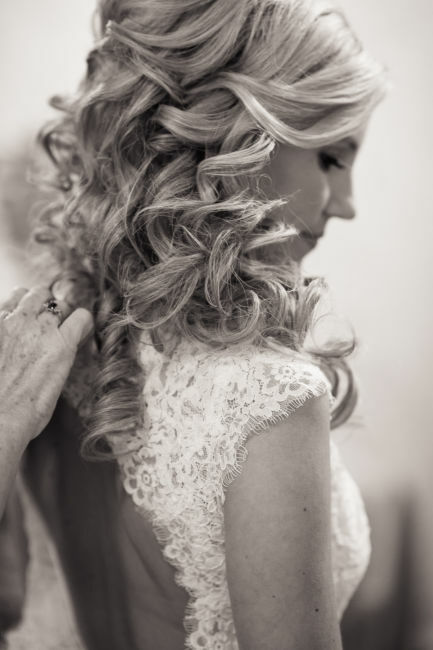 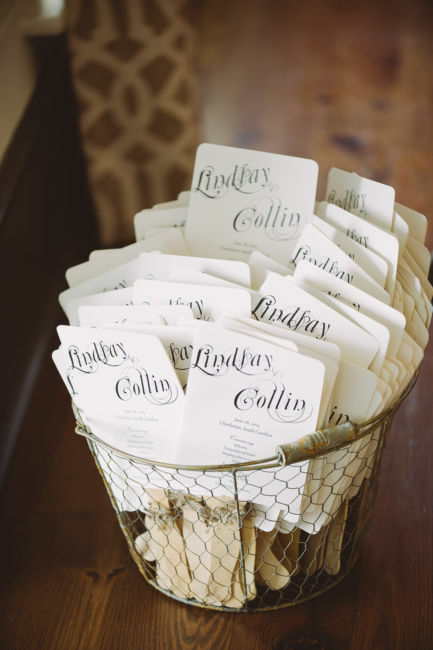 Lindsay & Collin’s Wedding was featured on Style Me Pretty in October of 2014. 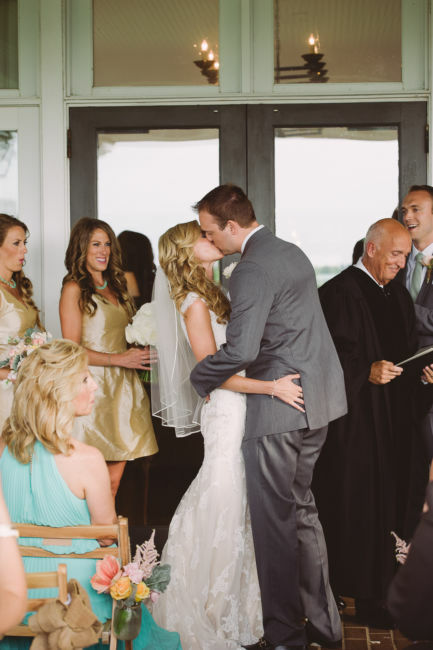 I am so excited to be blogging it today! 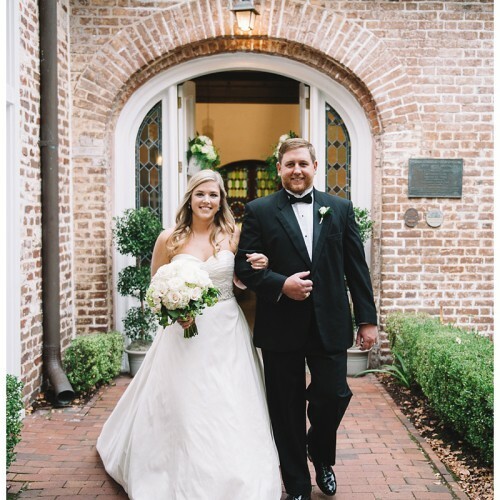 Lindsay & Collin, Chicago natives, wanted their entire family and friends to visit and celebrate the beautiful city of Charleston. 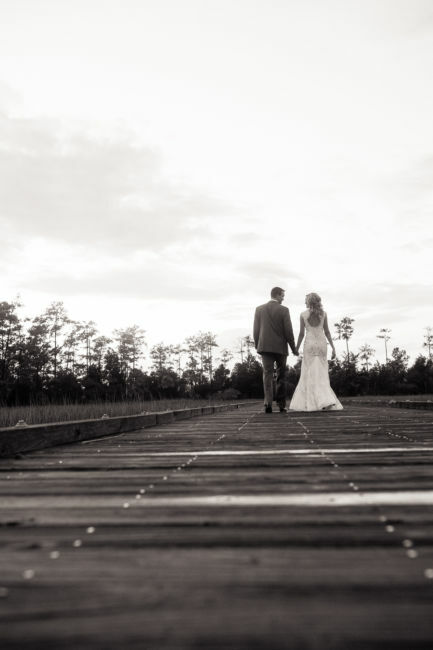 I loved all the time I had with the two of them to capture special moments, the first look & the right before sunset on the Daniel Island Club dock. 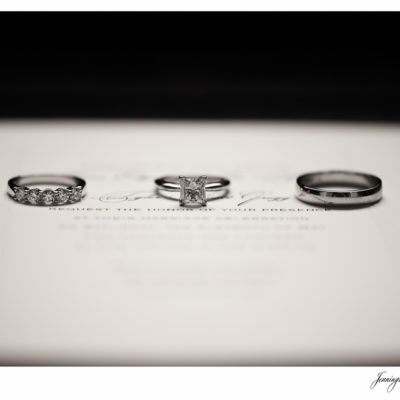 A huge thank you to them both for selecting me as their photographer to document their wedding day! 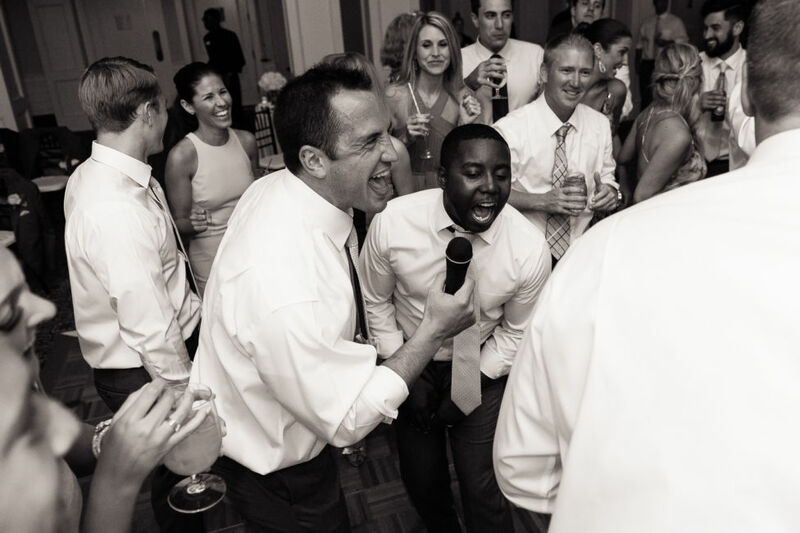 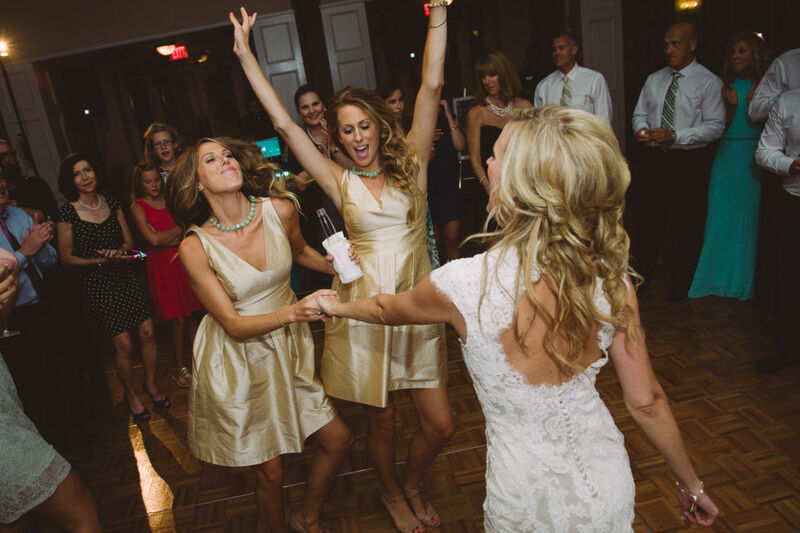 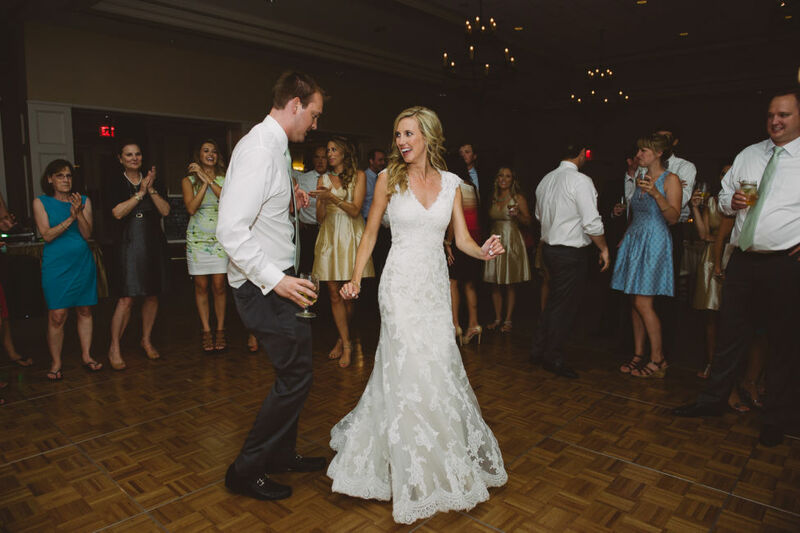 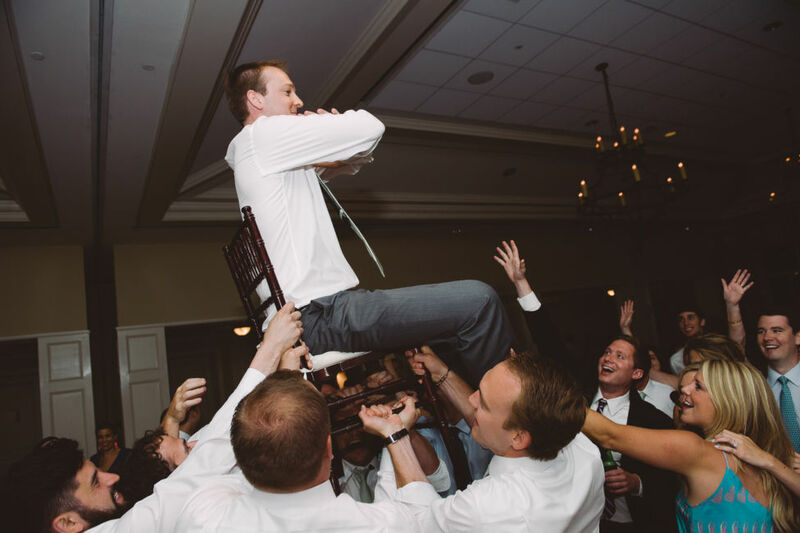 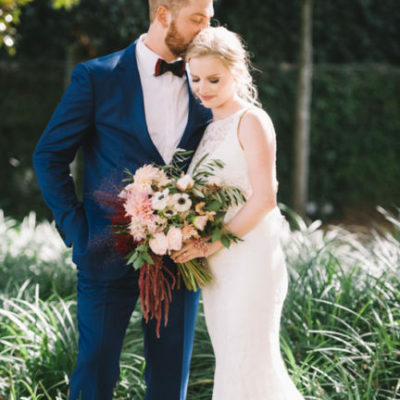 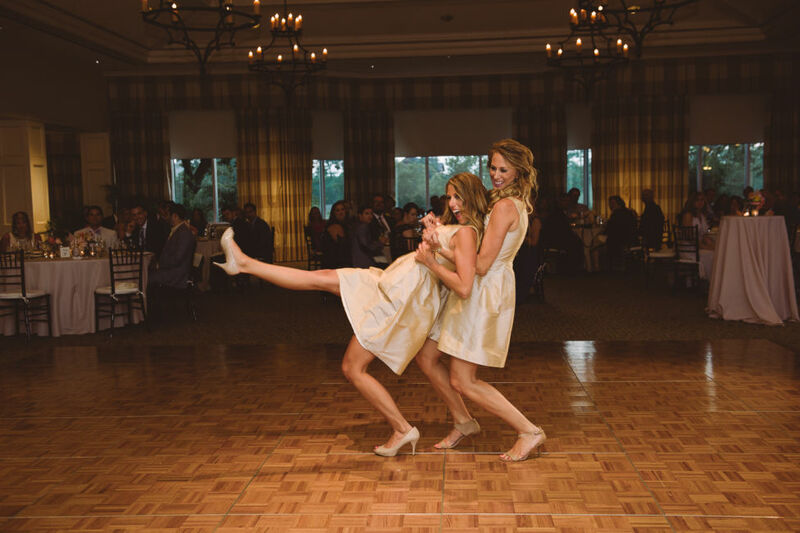 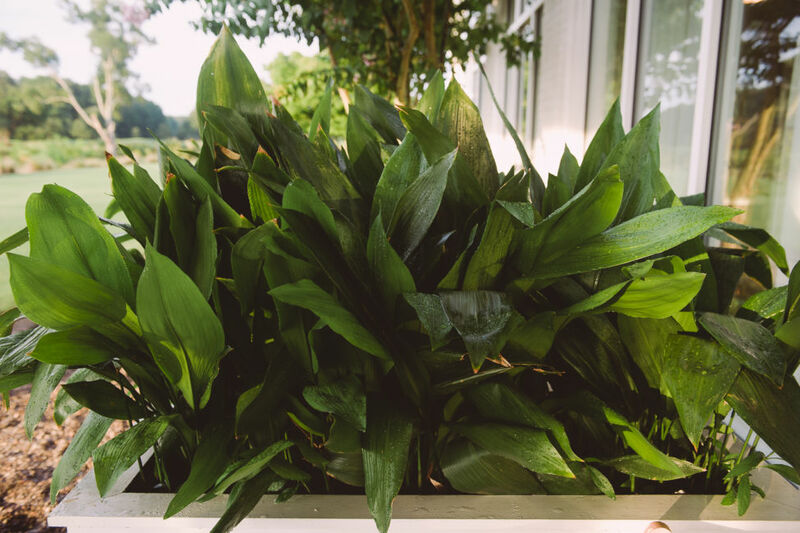 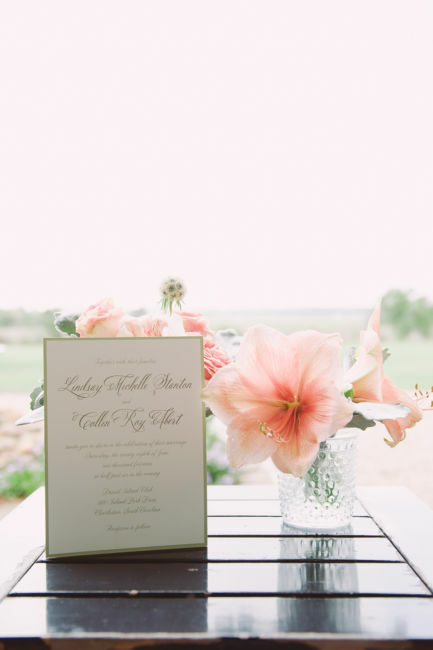 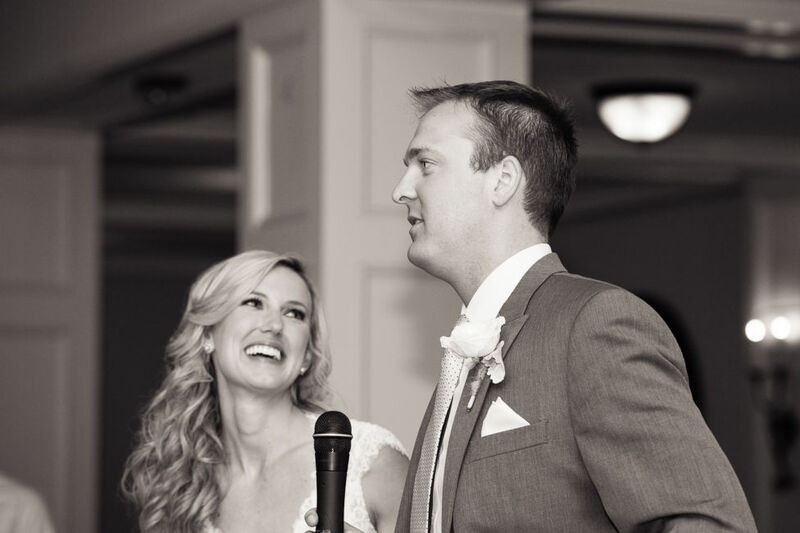 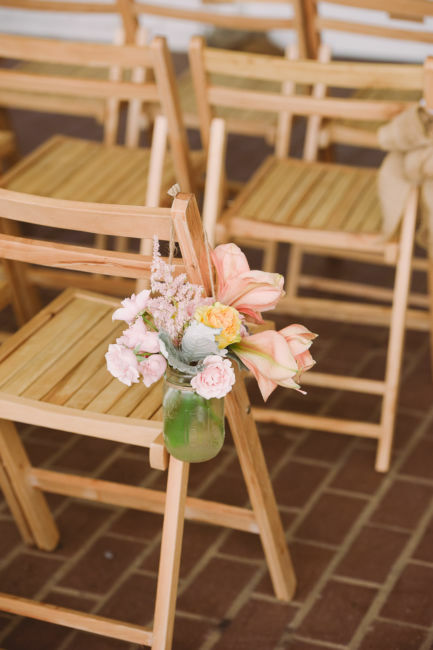 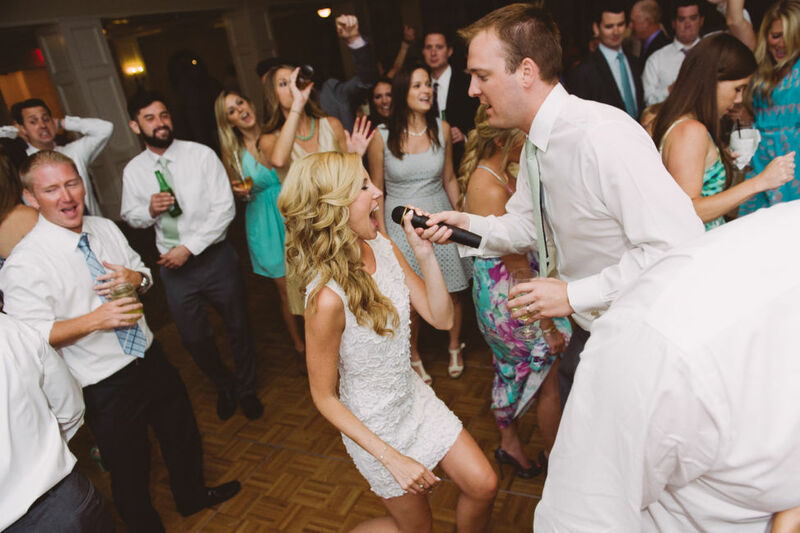 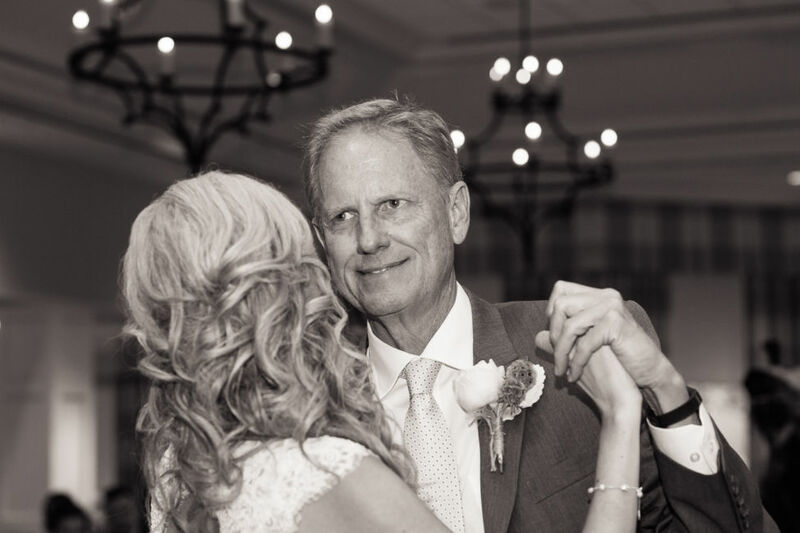 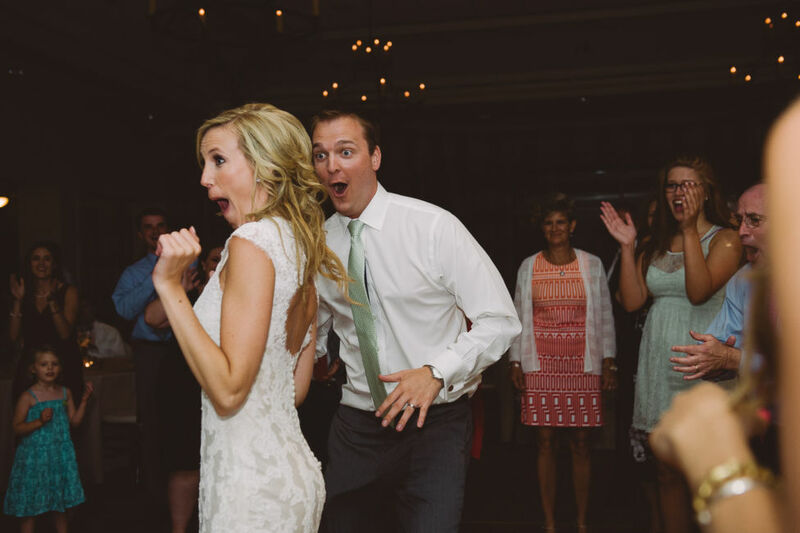 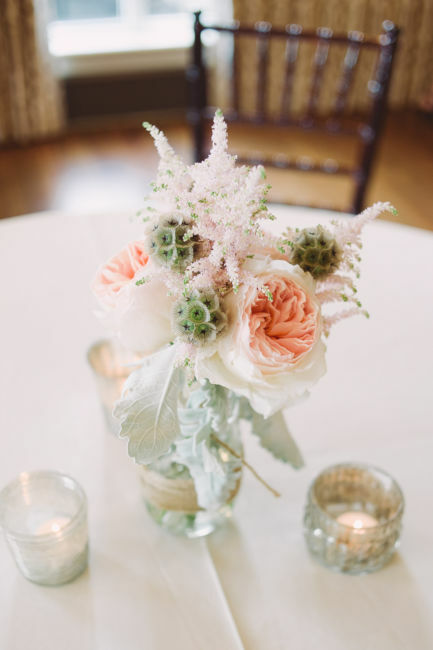 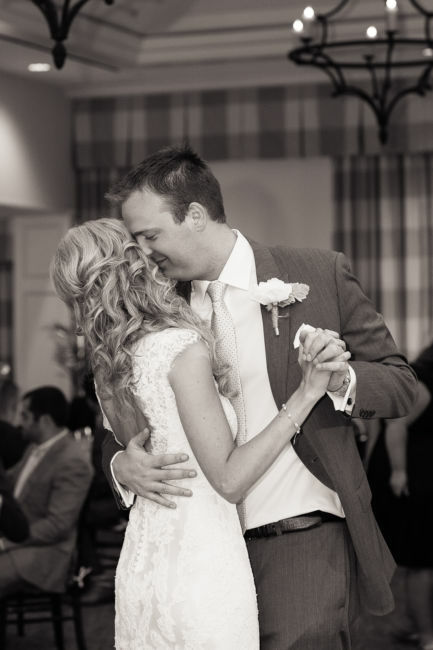 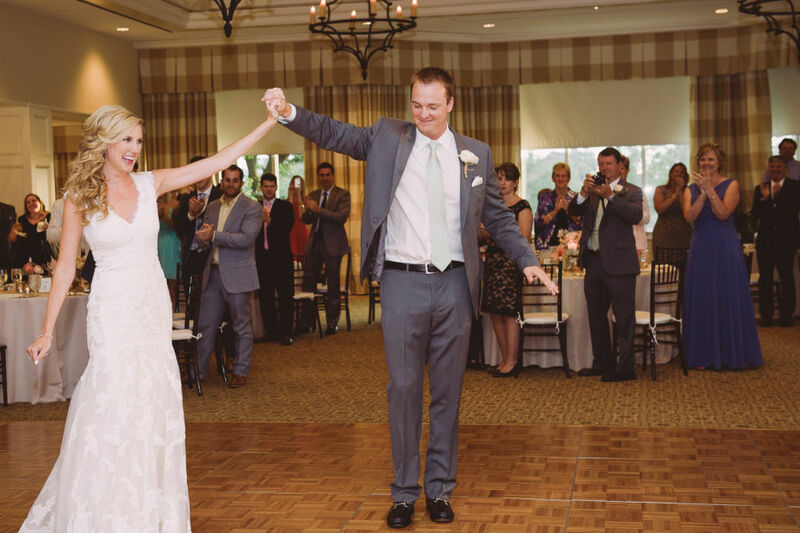 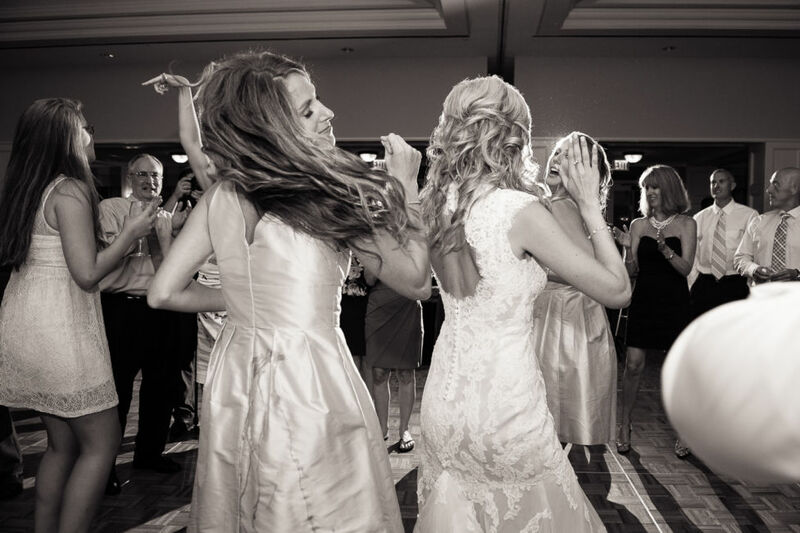 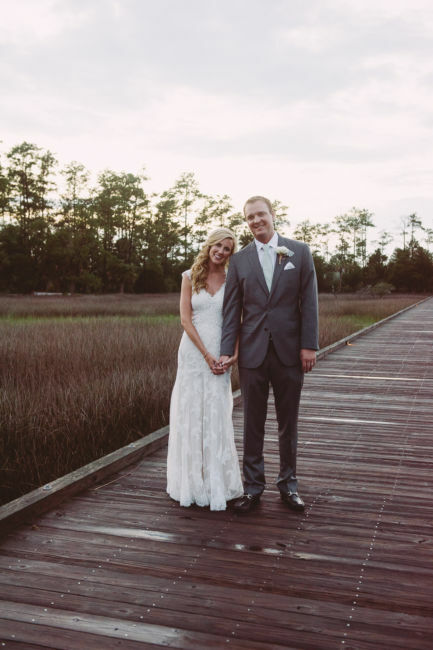 From Lindsay, the bride: “After my husband Collin proposed to me, I visited a few venues in the Chicago land area even though I had a secret wish to be married in Charleston. 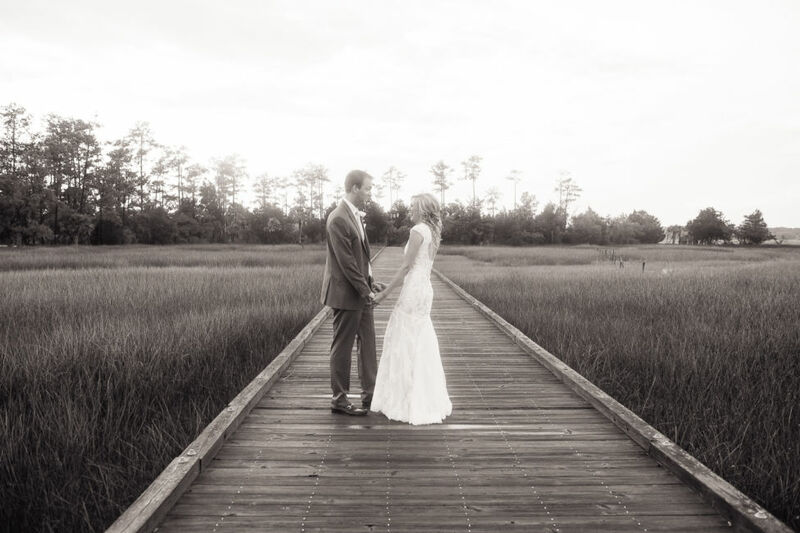 When I didn’t fall in love with any of the venues in Chicago, I shared my secret with Collin and he was just as excited about the potential idea of being married in the Low Country! 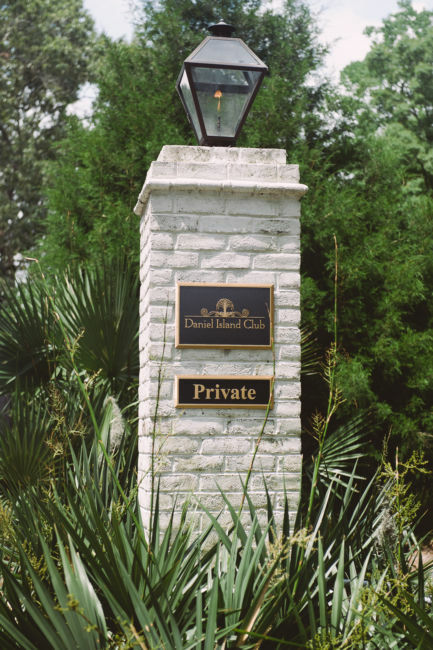 When I saw Daniel Island Club, it was love at first sight! 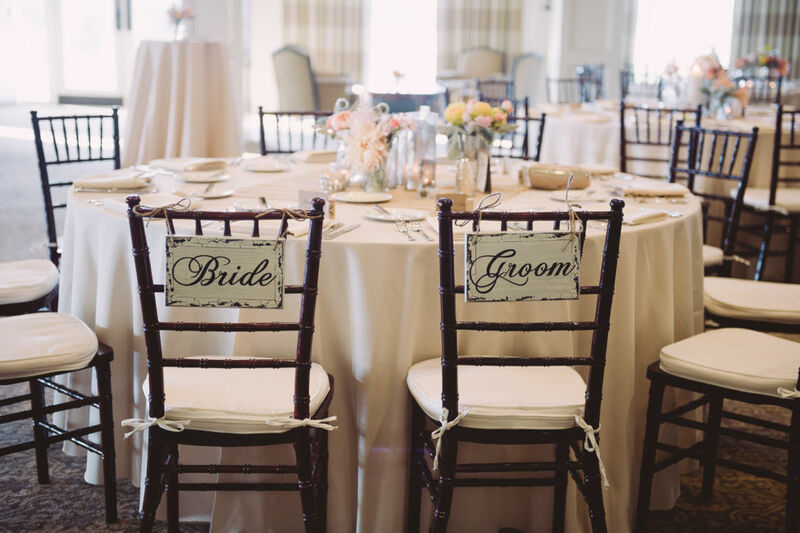 I knew it had to be the place for our wedding. 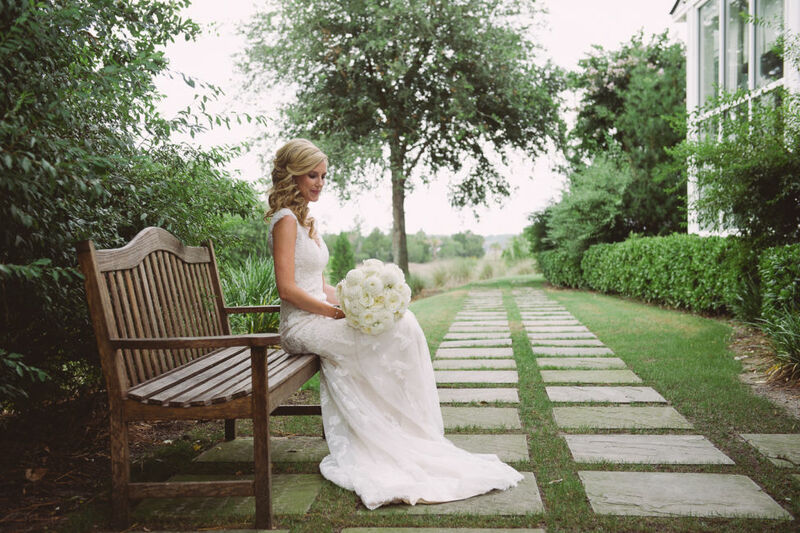 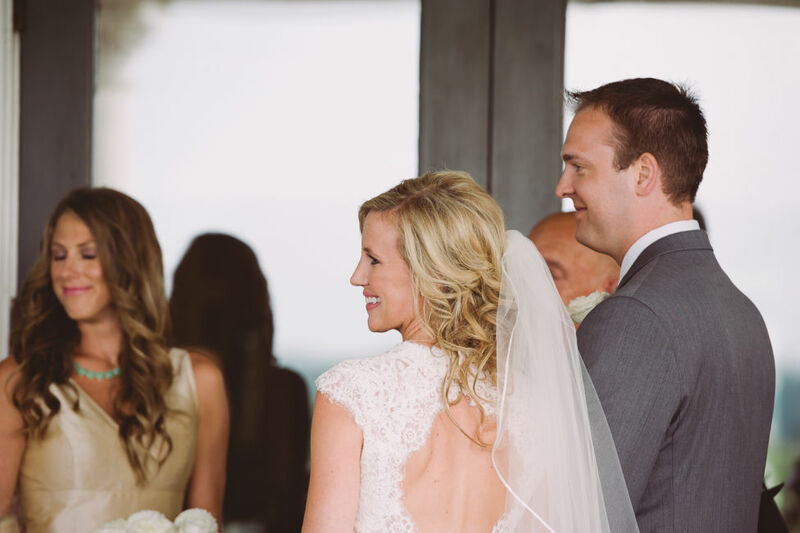 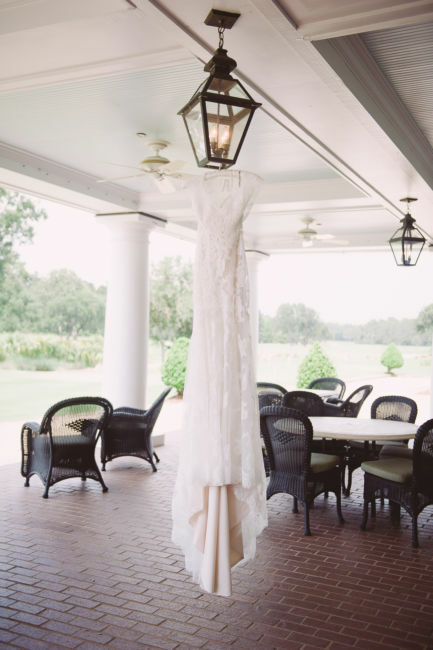 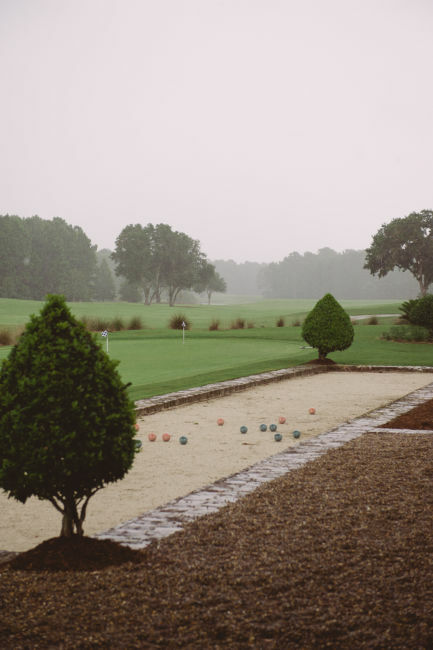 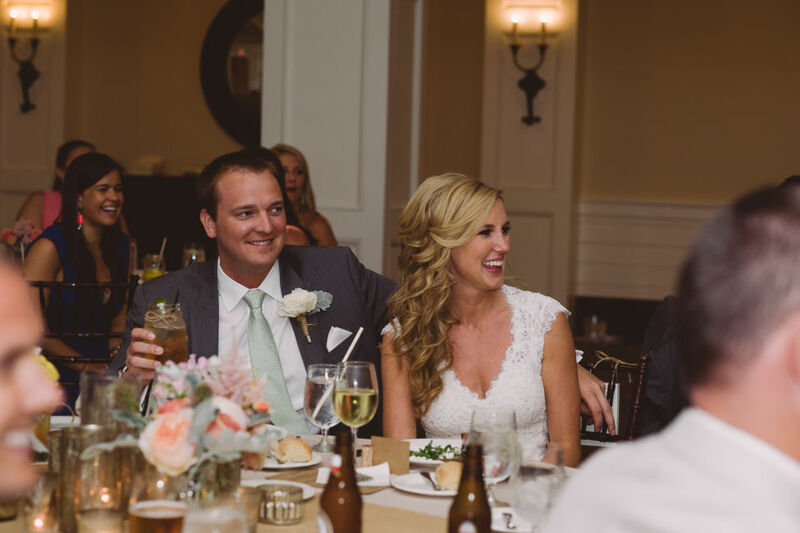 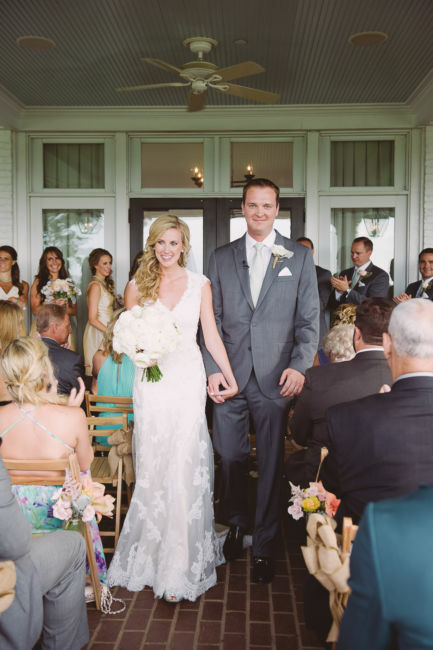 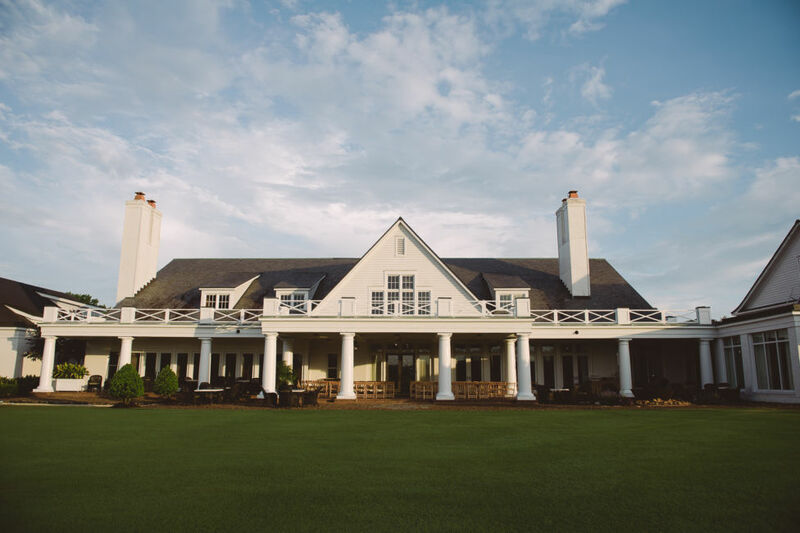 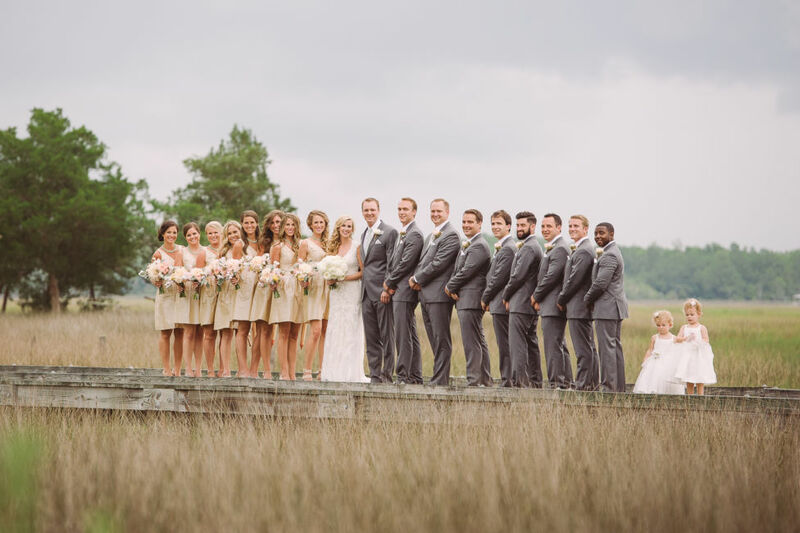 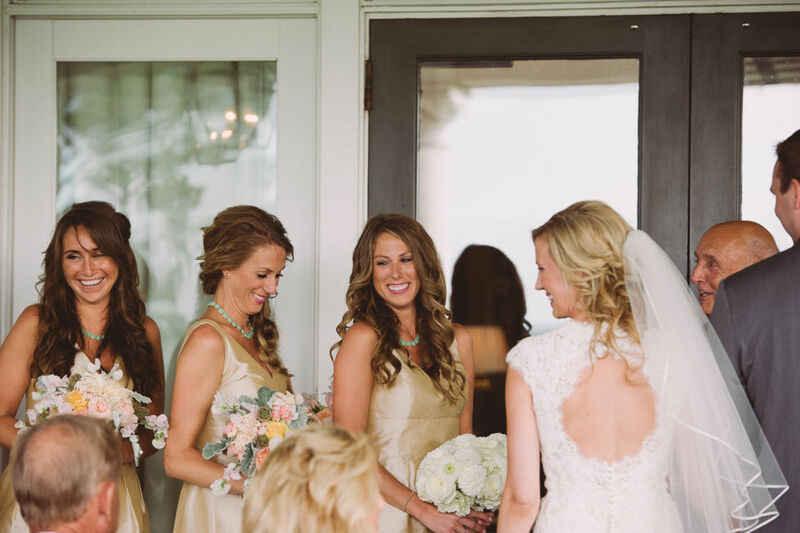 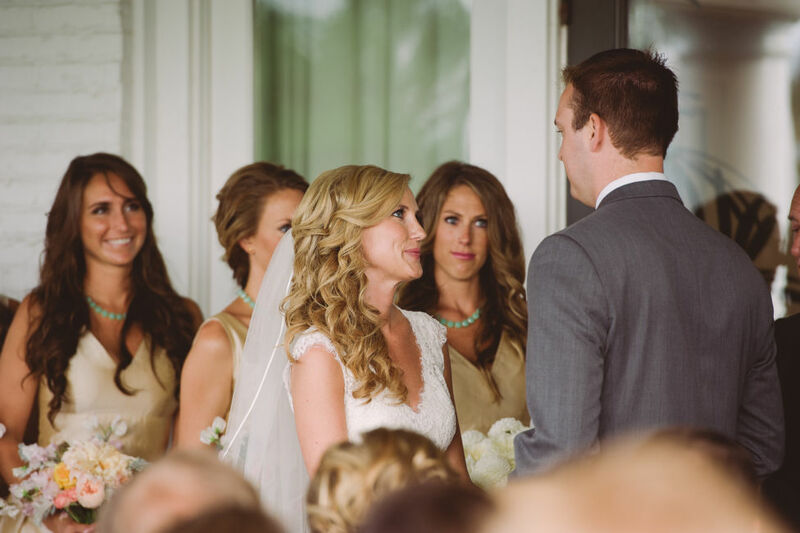 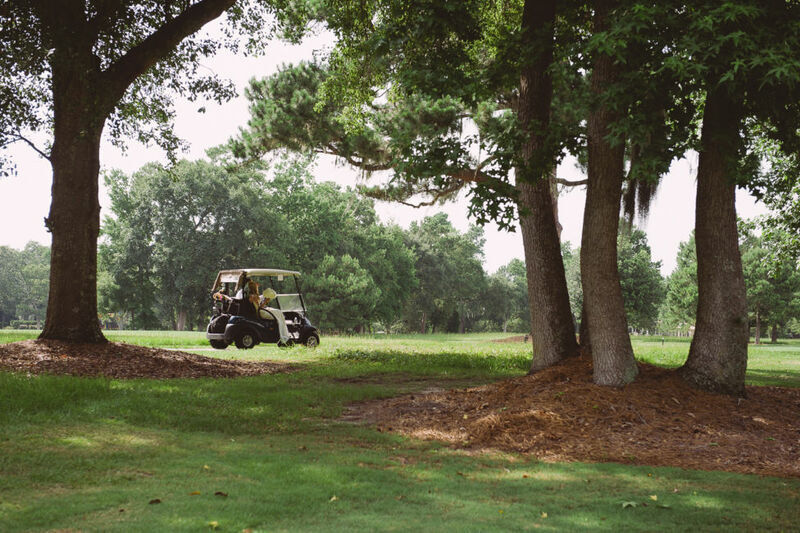 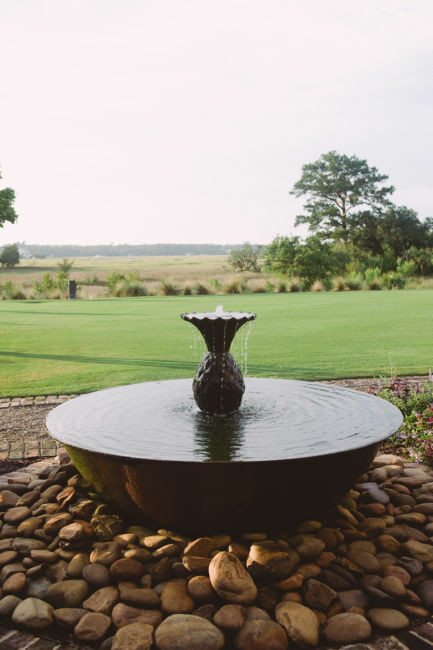 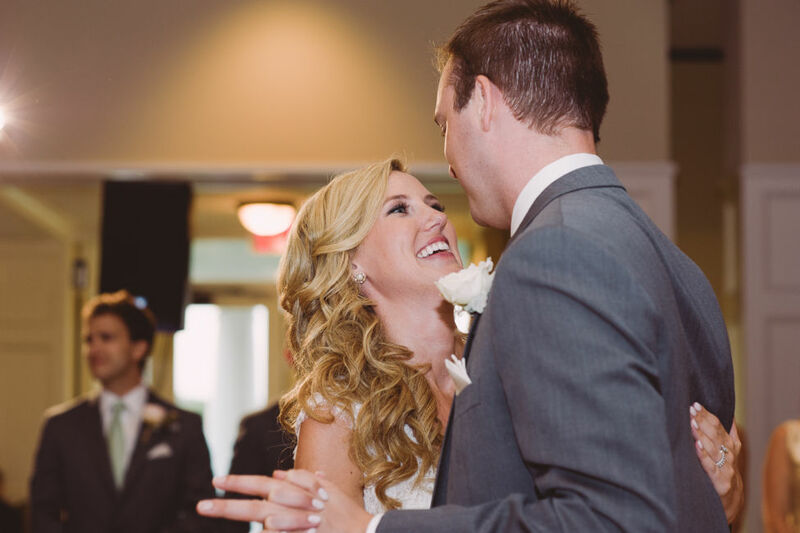 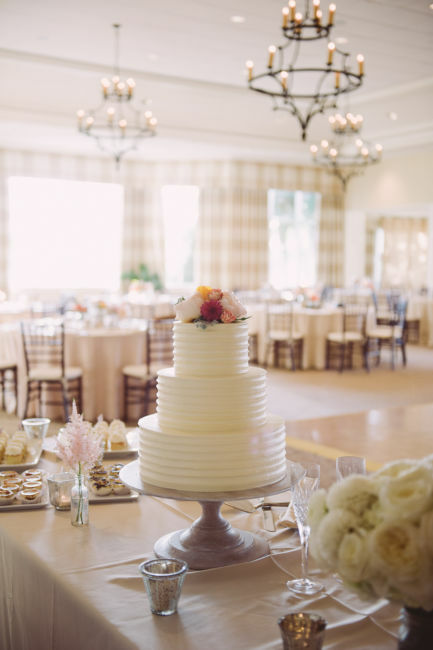 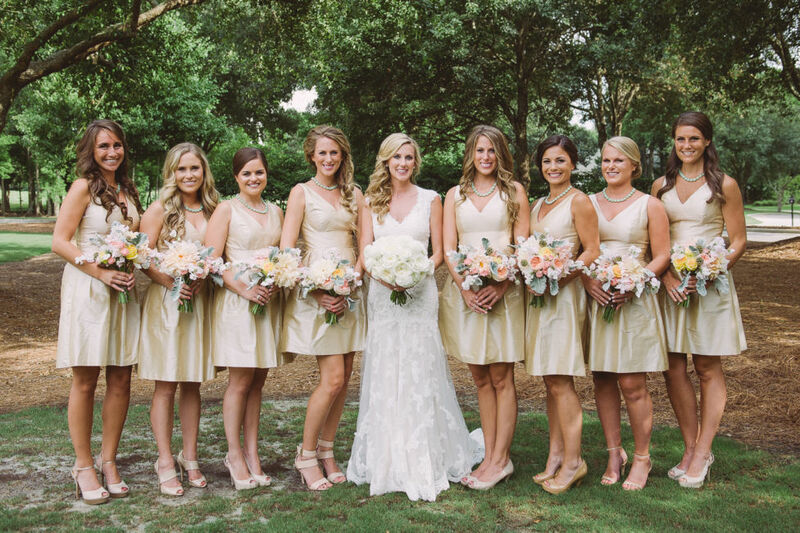 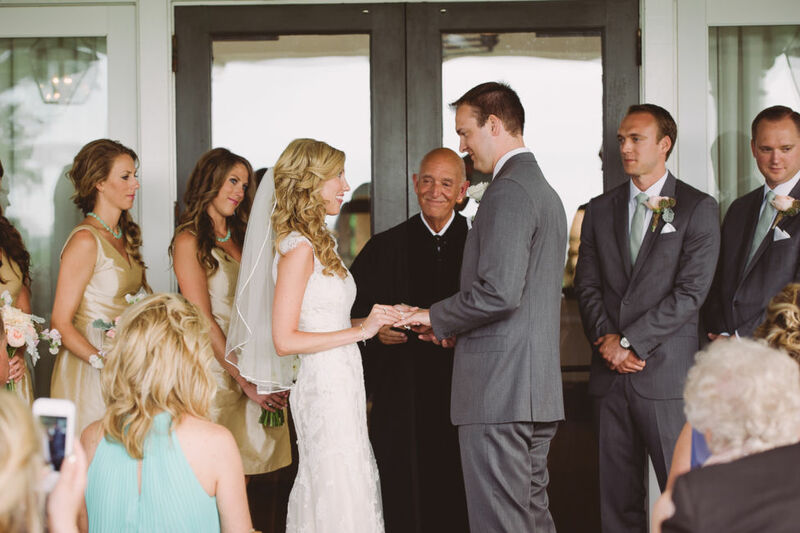 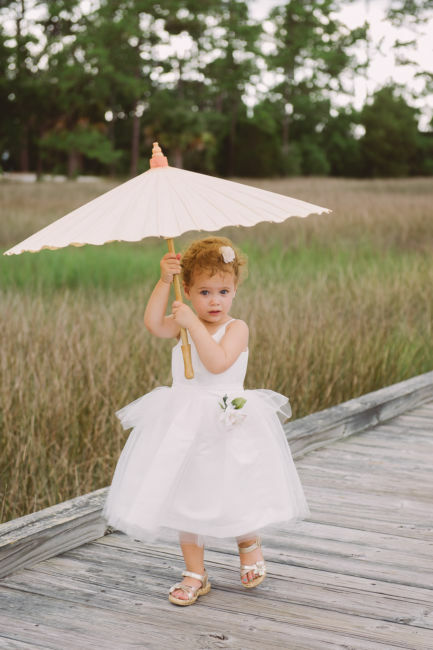 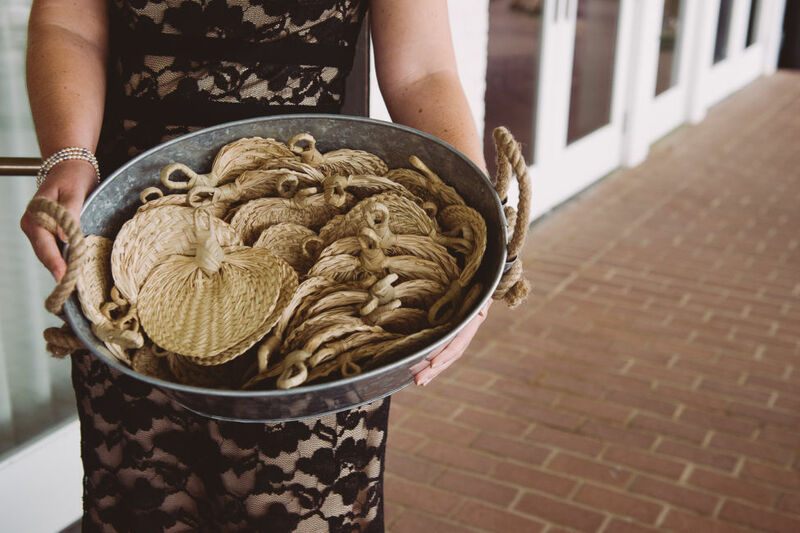 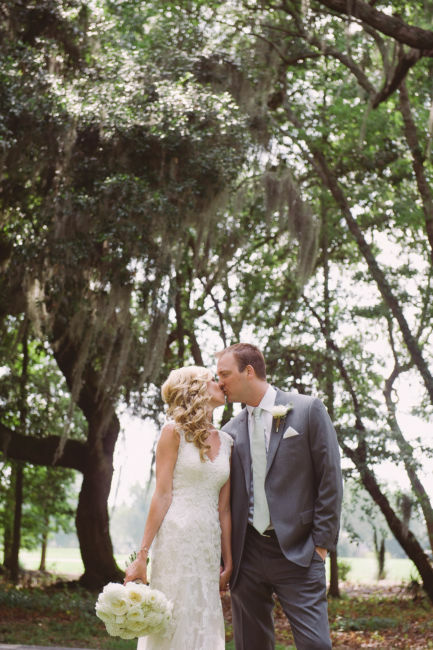 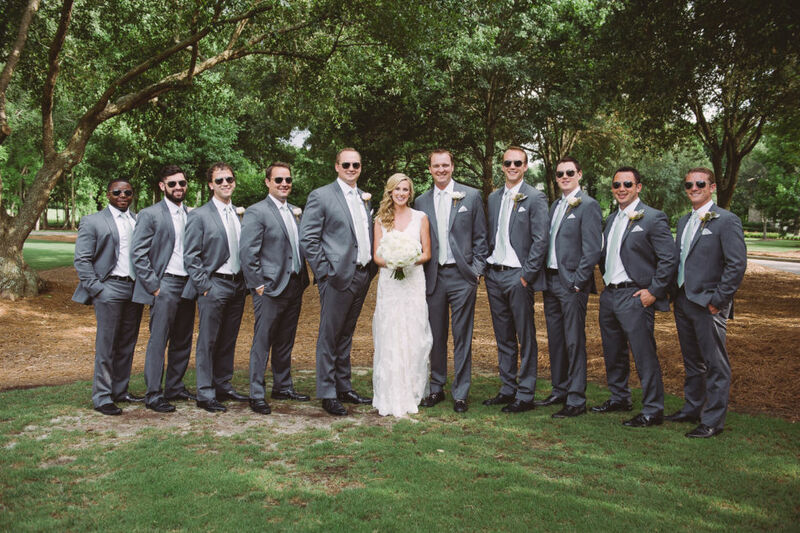 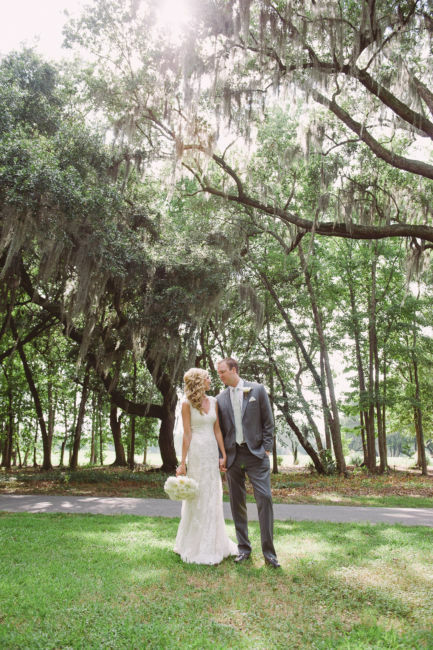 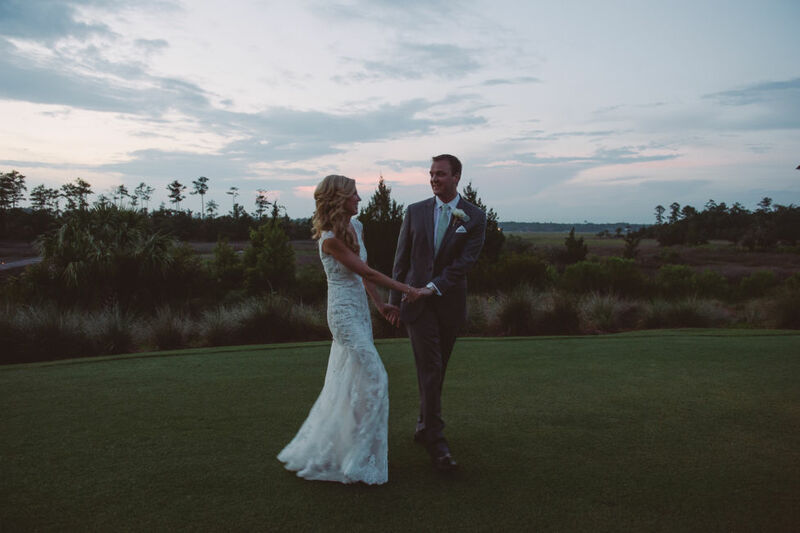 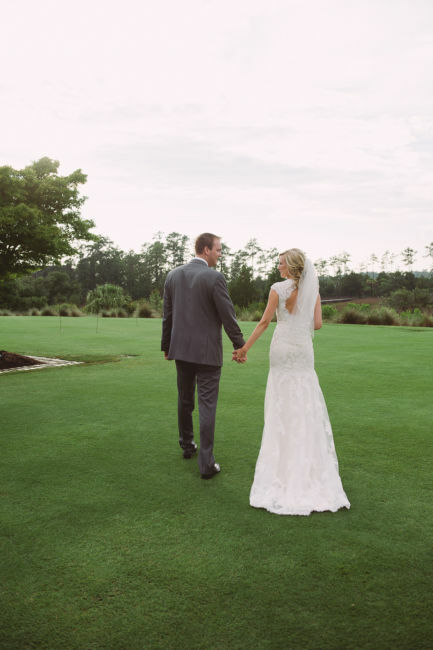 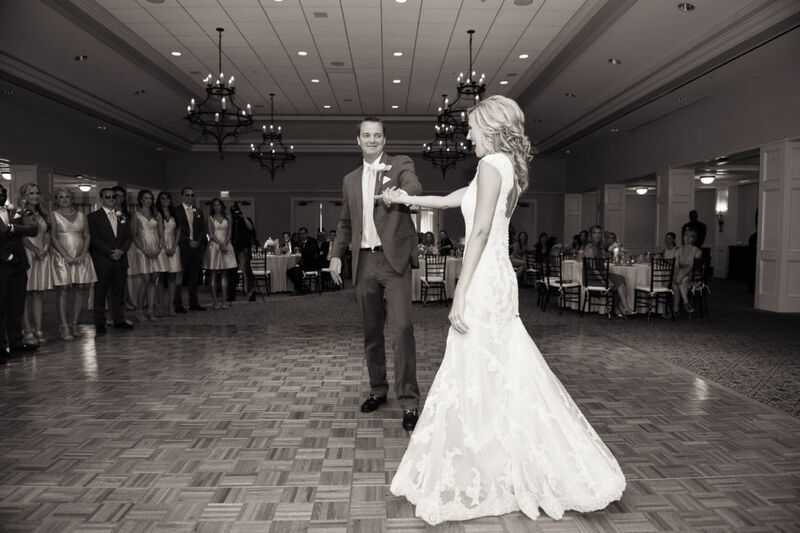 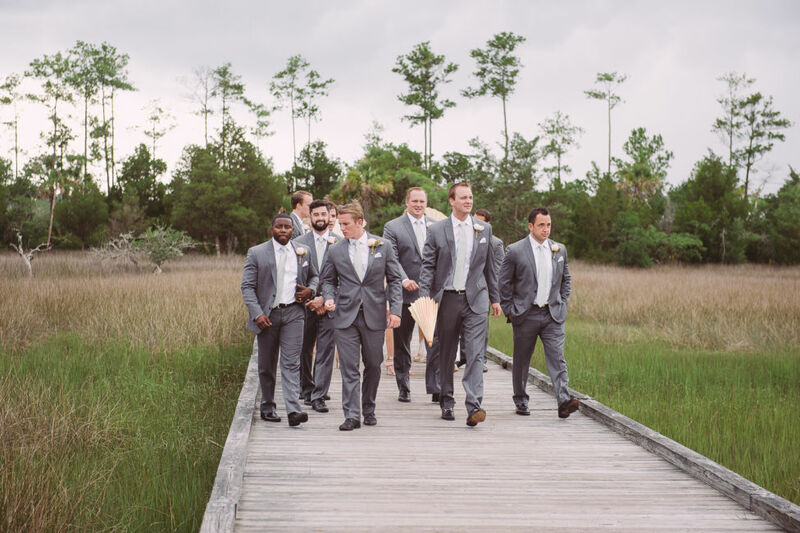 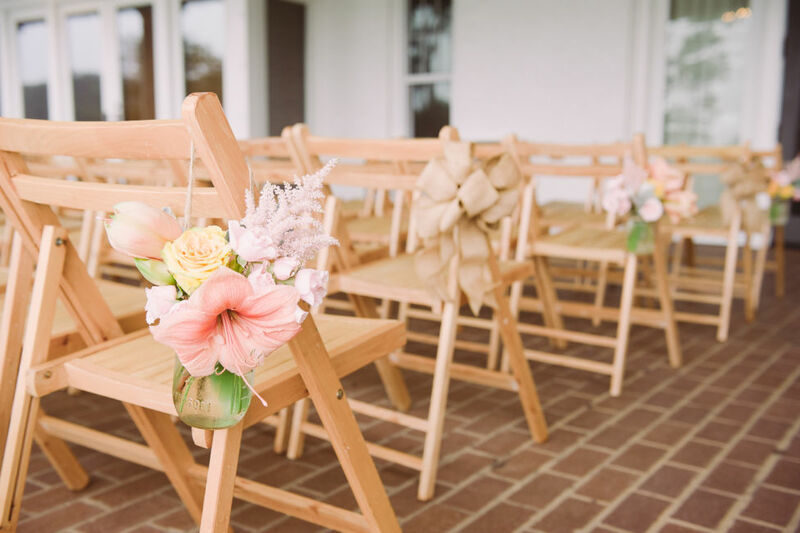 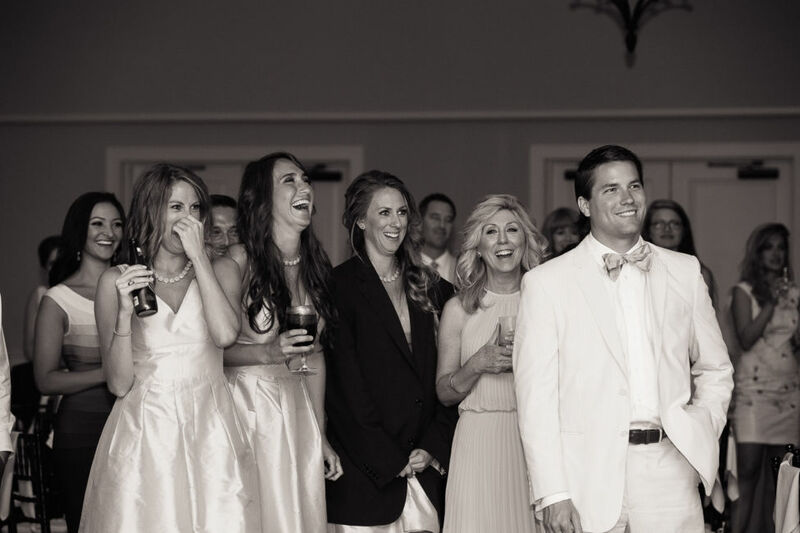 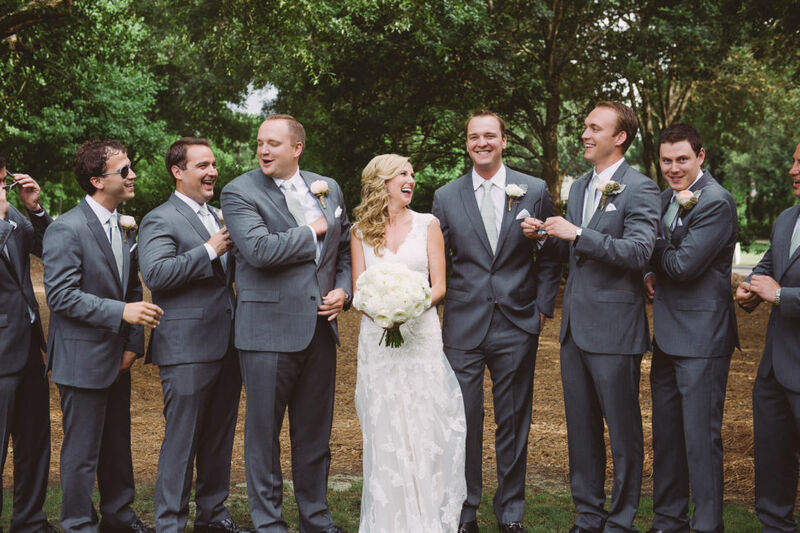 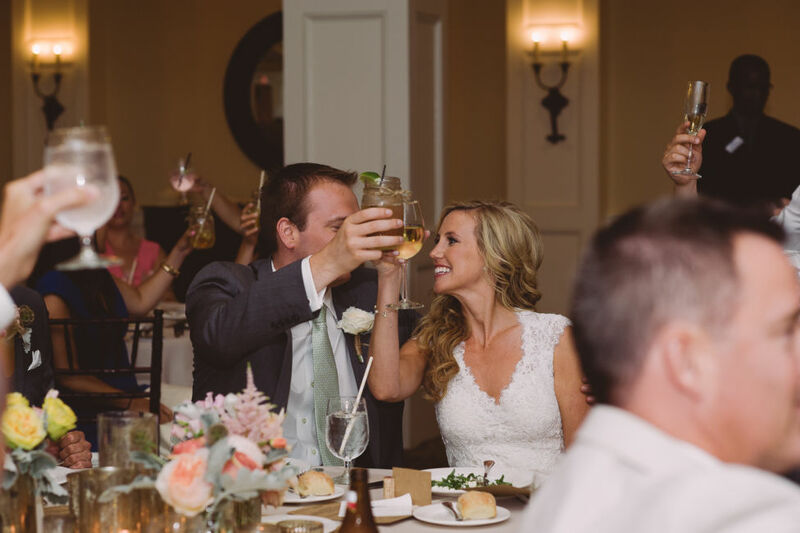 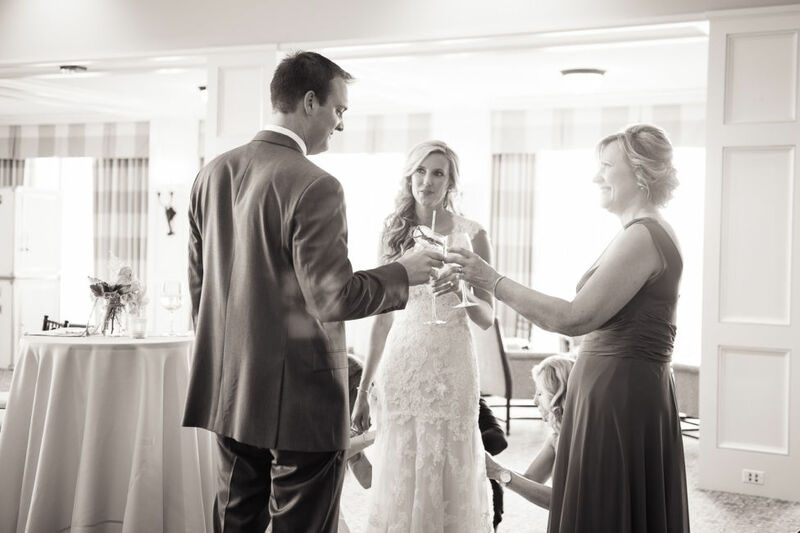 Daniel Island Club was the perfect venue for an outdoor ceremony and indoor reception. 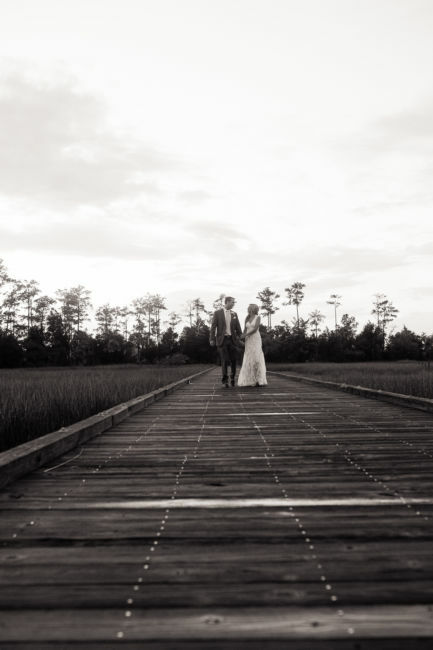 We planned for a ceremony on the back lawn overlooking the beautiful marsh. 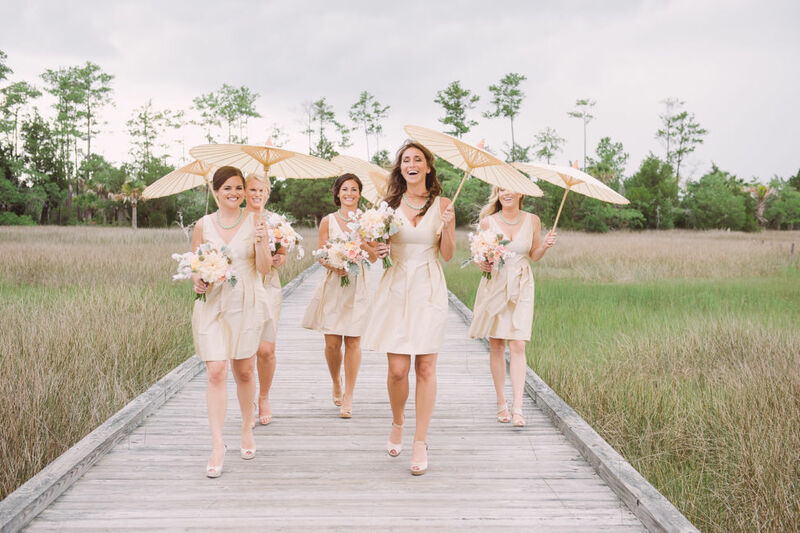 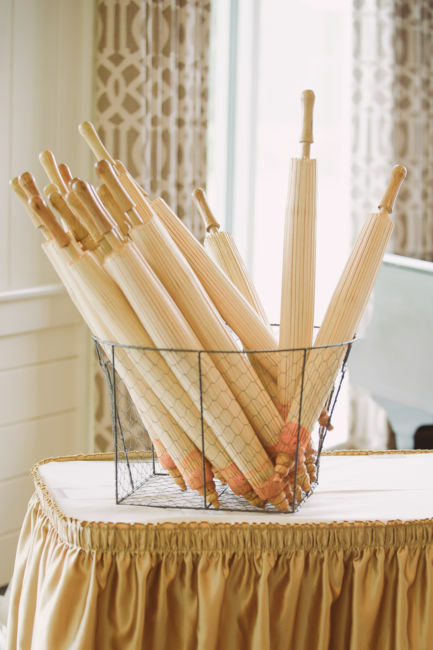 We also prepared for a sunny and hot summer day in late June with fans for ceremony programs, parasols, and groomsmen in shades. 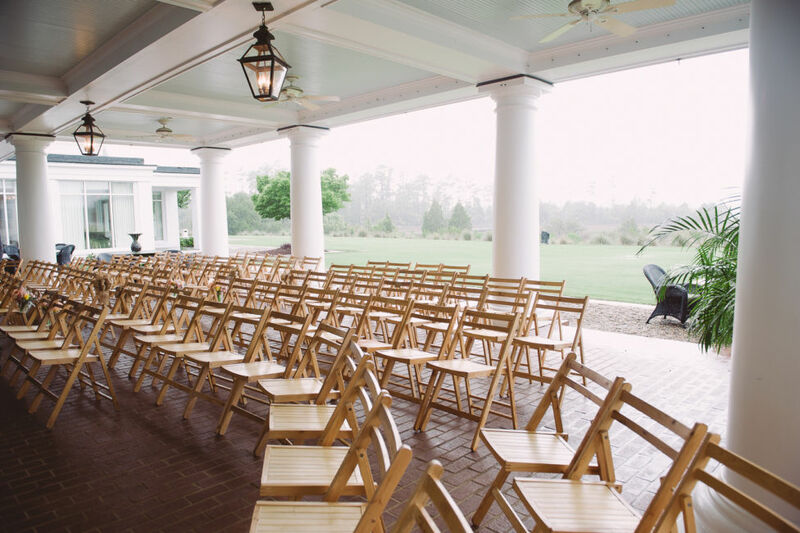 It turned out dark clouds followed by a lot of rain rolled in about an hour before the ceremony began. 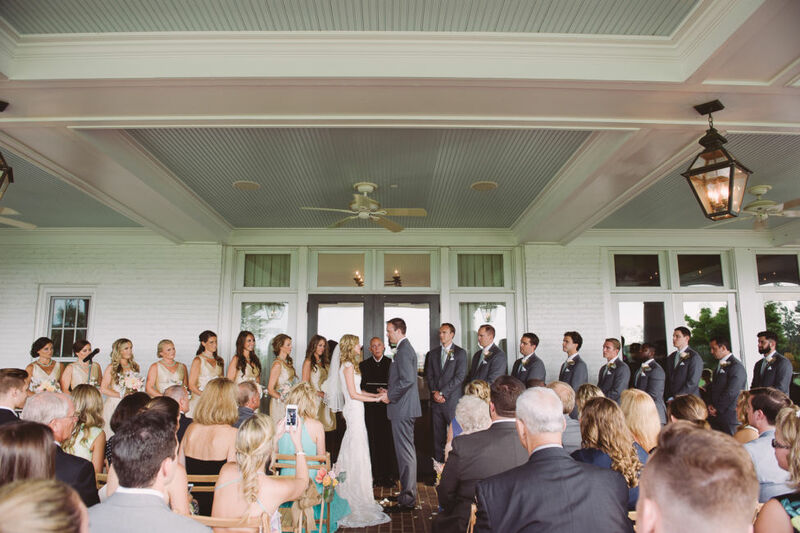 We moved the ceremony under a covered patio, which turned out to be just a wonderful. 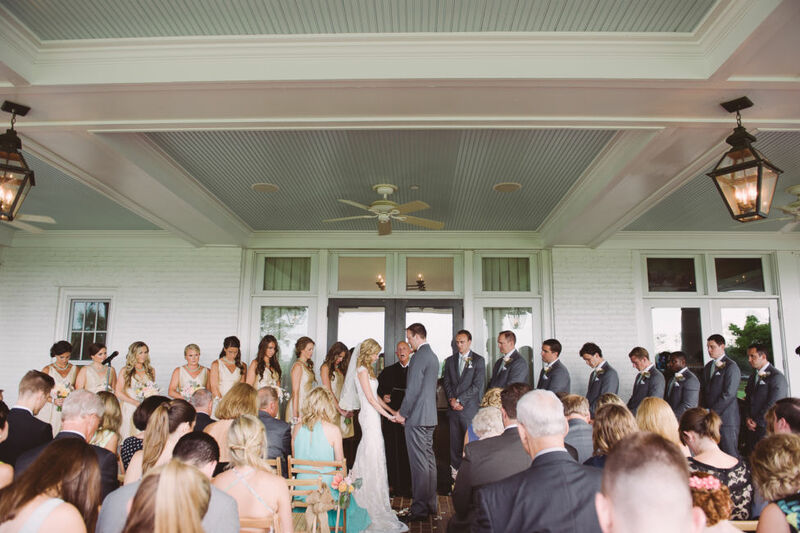 It was a smaller area, so everyone sat close together and it made the setting feel very intimate. 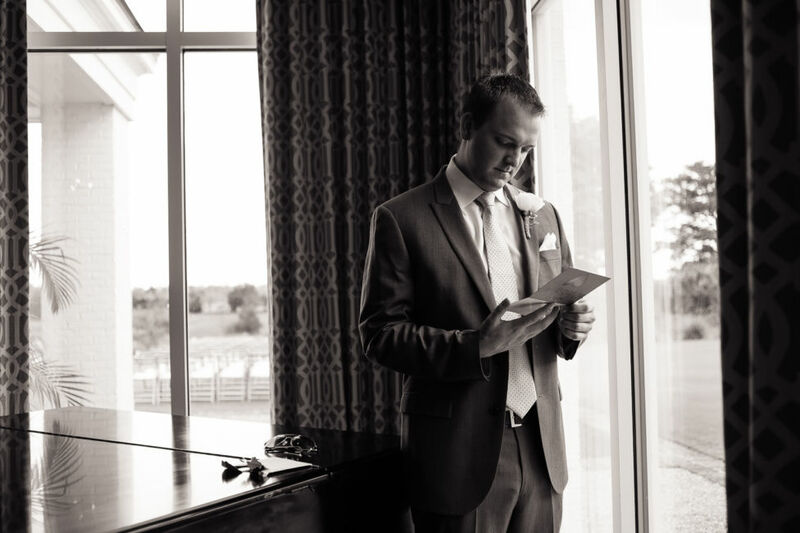 In fact, the rain stopped and the sun peeked through the clouds right before I was about to walk down the aisle. 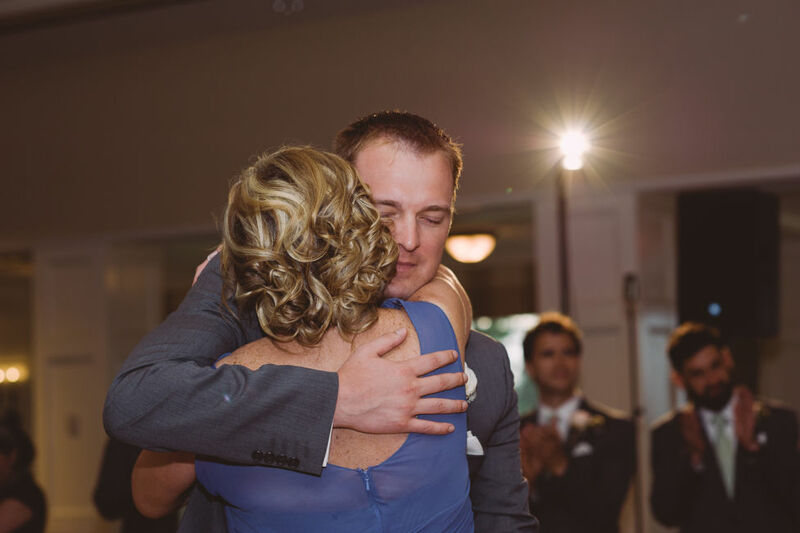 My mom surprised us at the end of our ceremony with a release of a dozen butterflies – representing “new beginnings”. 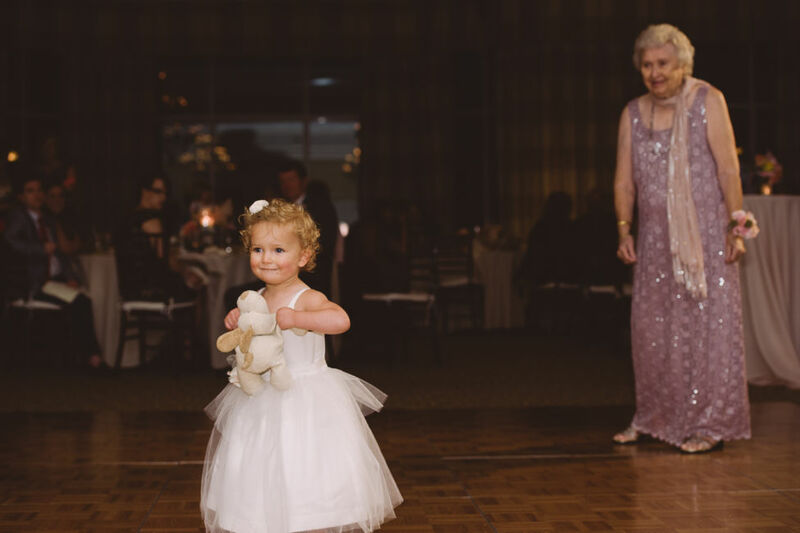 It was such a special surprise! 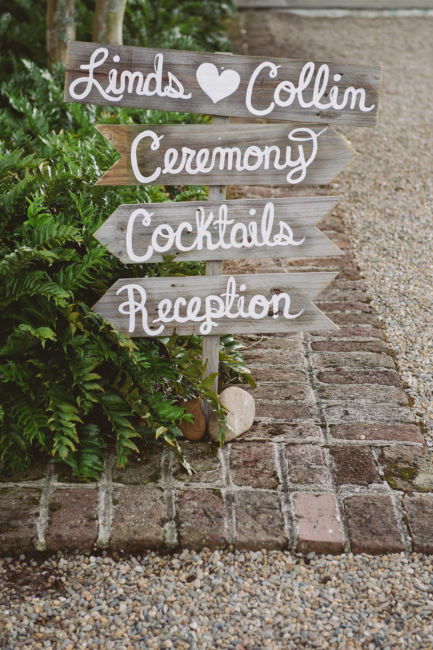 I knew I wanted our wedding to have a rustic-vintage feel to it. 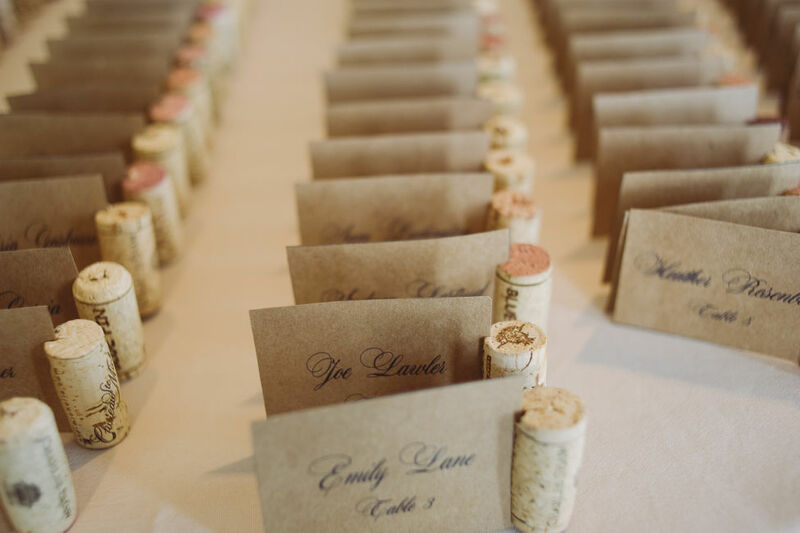 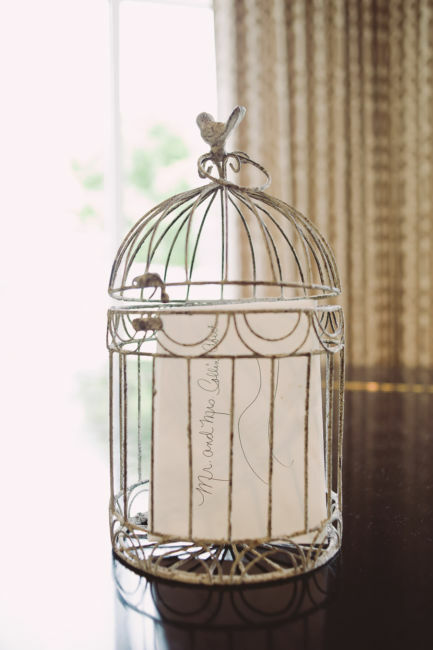 We incorporated this with touches of burlap, twine, and rustic signage. 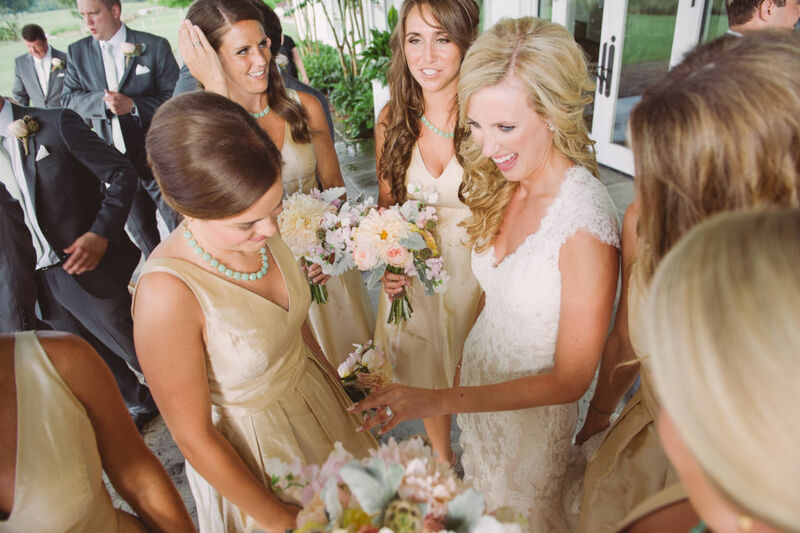 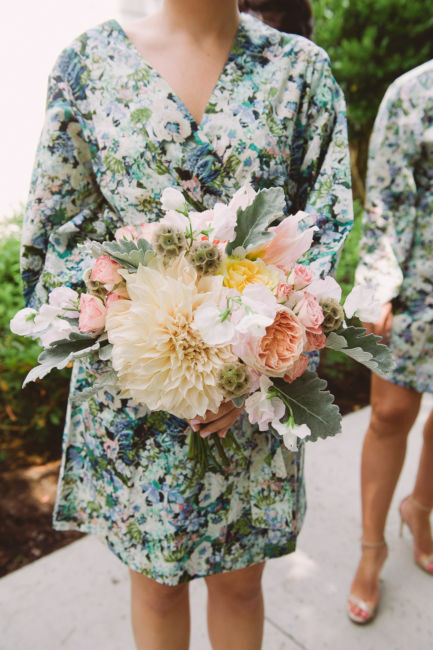 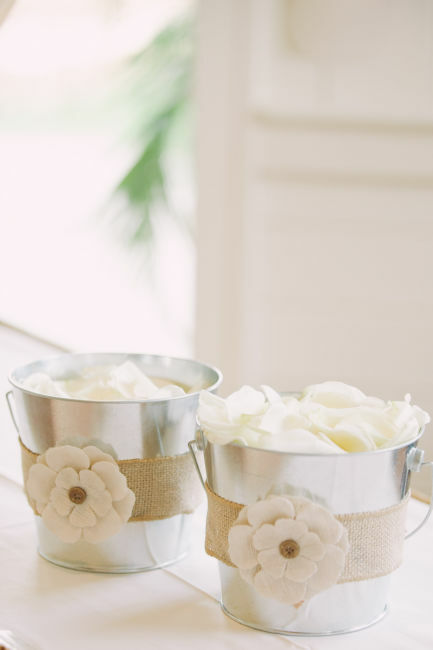 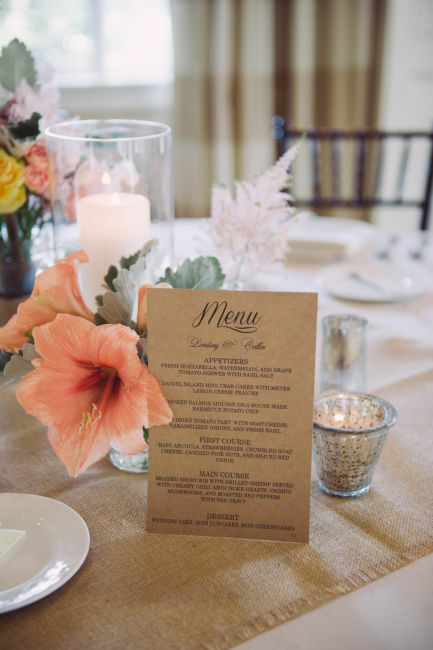 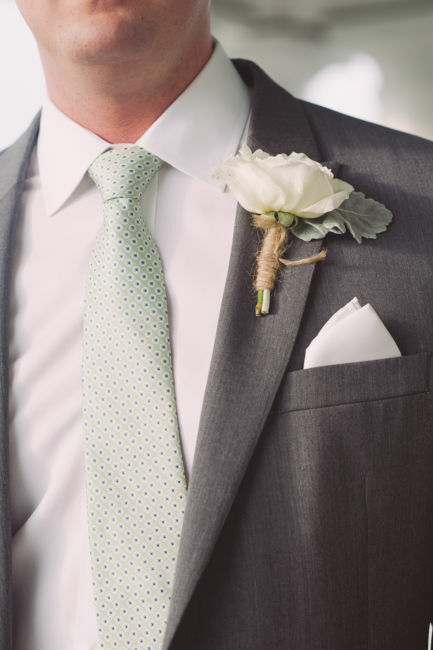 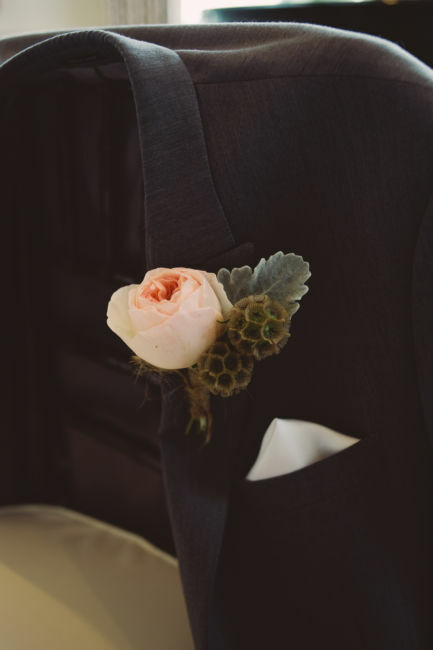 When I decide on wedding colors, I had the wedding party wear neutrals and brought in many colors through the flowers. 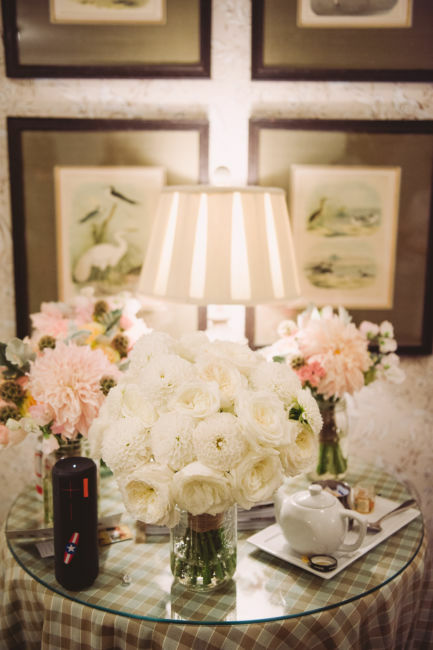 I was so happy with the flowers put together by Branch Design Studio. 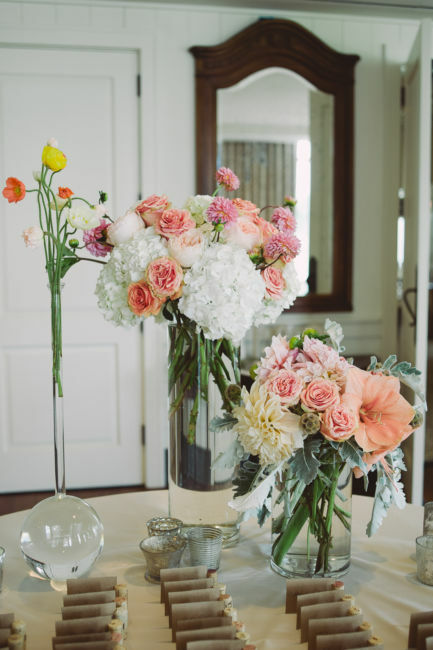 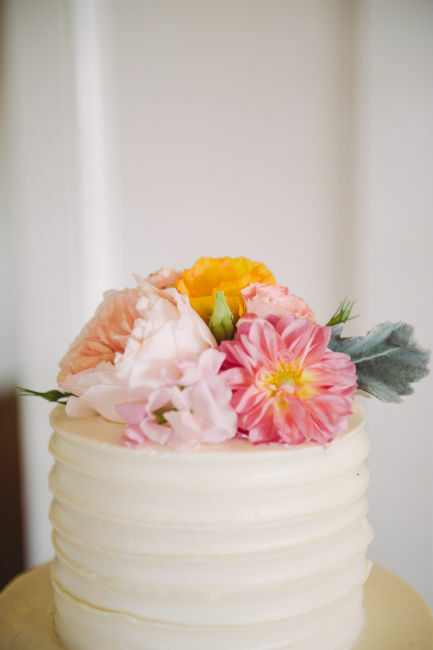 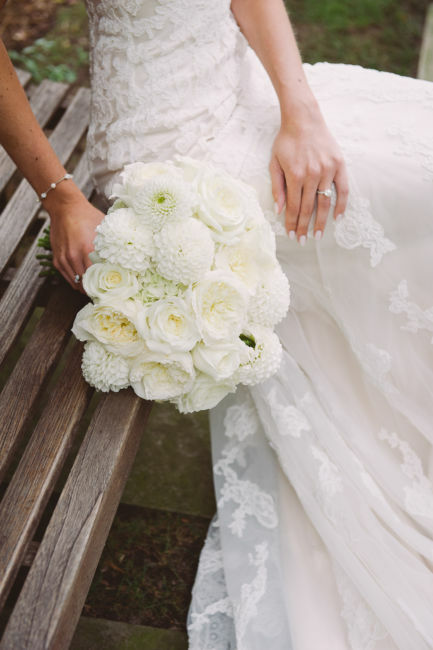 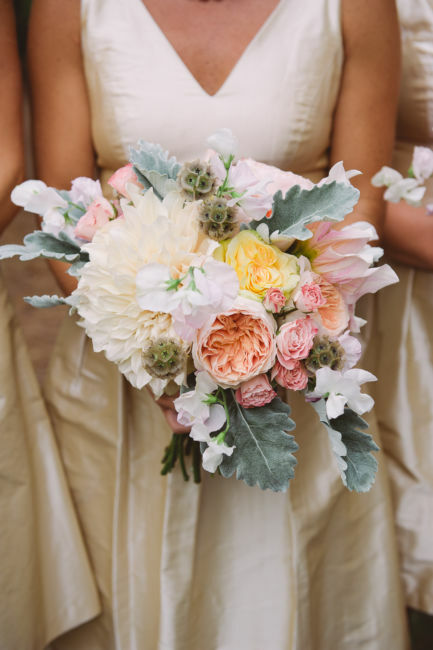 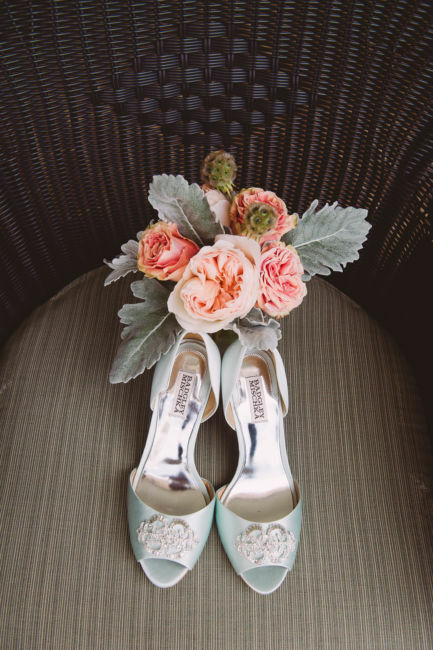 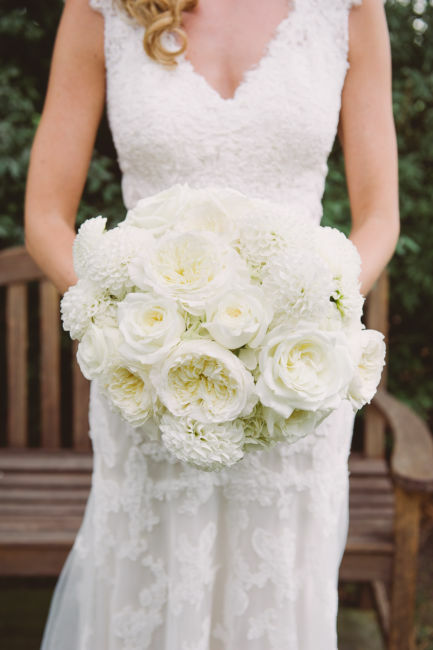 The variety of flowers used in the bouquets created bright pops of color and texture. 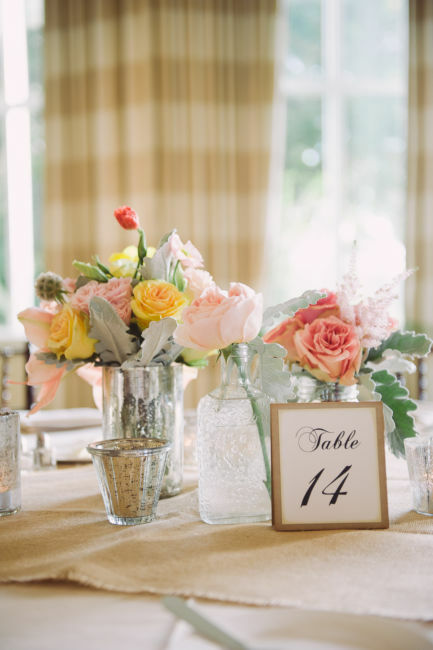 The flowers on the tables were in mason jars and vintage bottles surrounded by mercury glass votives. 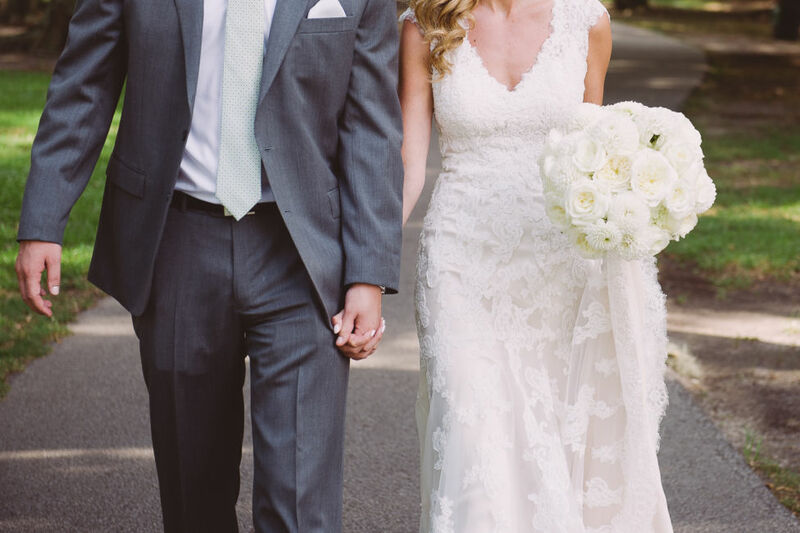 It was exactly what I had hoped for! 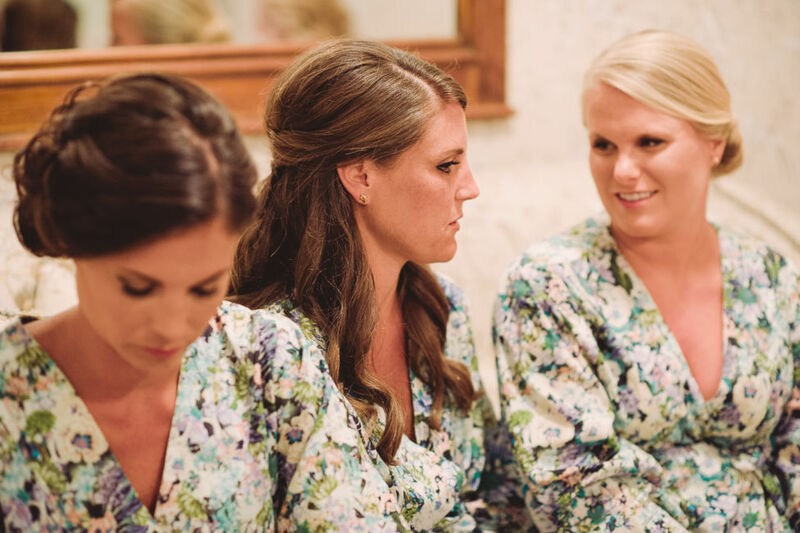 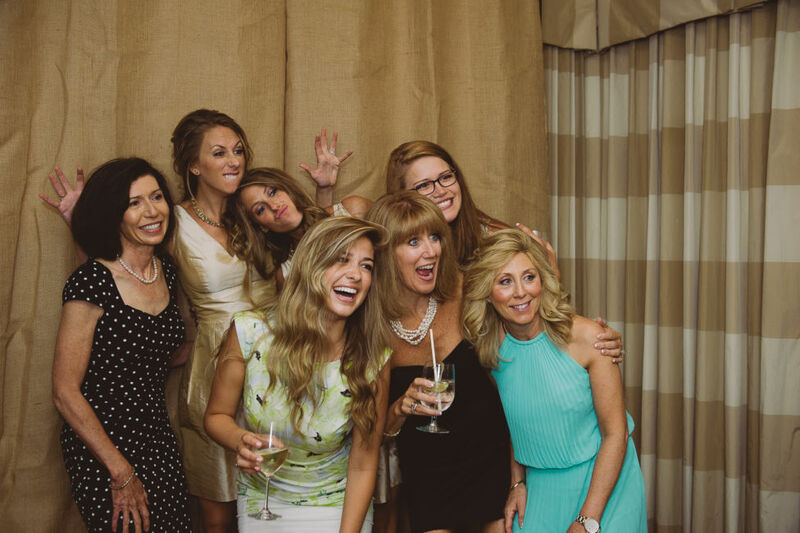 The bridesmaids wore one of their gifts – robes from Plum Pretty Sugar while we enjoyed the day getting ready at Daniel Island Club. 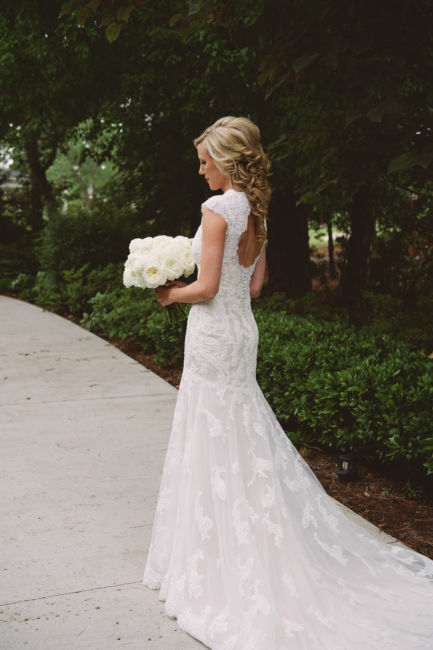 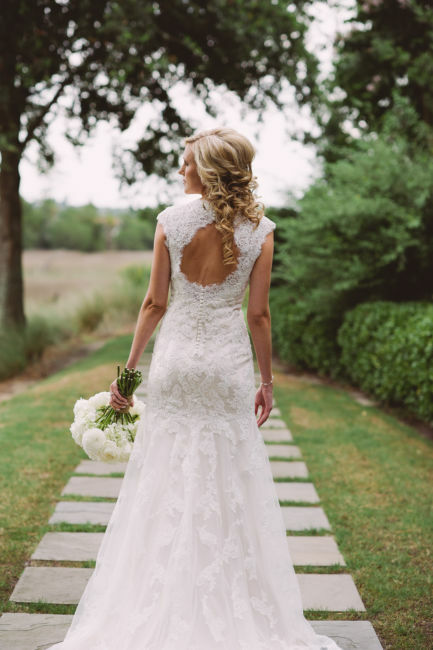 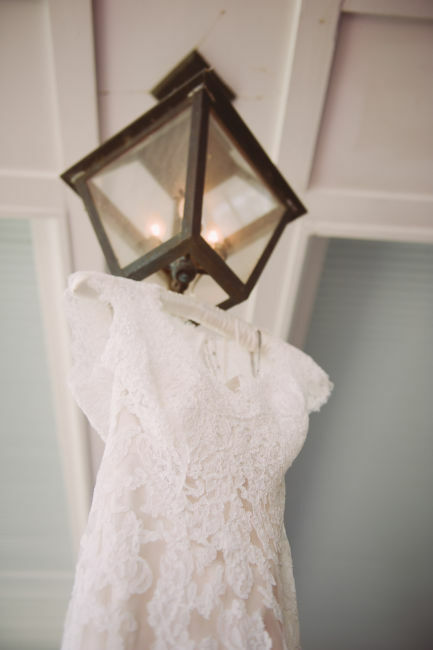 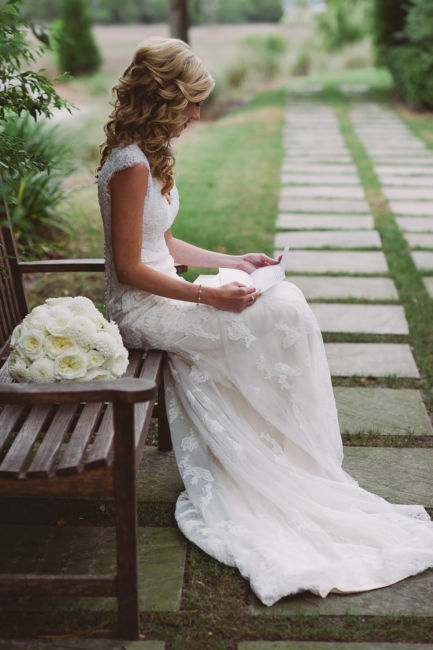 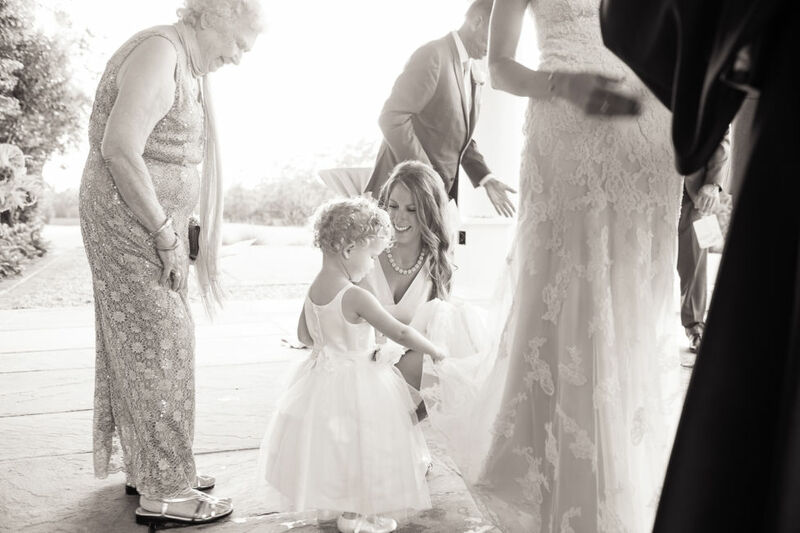 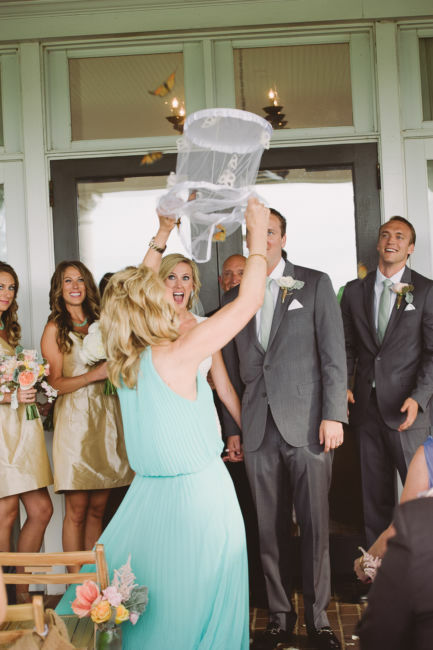 I couldn’t wait to put on my “something new” – my dress! 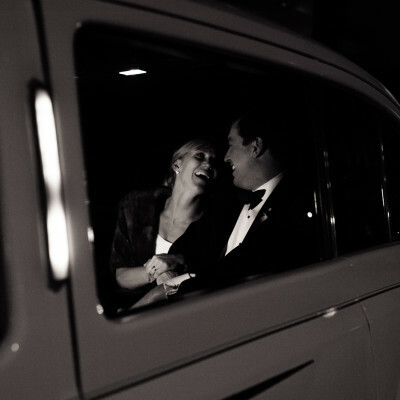 Along with the dress, I wore a very special “something old” – my 95 year old grandmother’s opal ring. 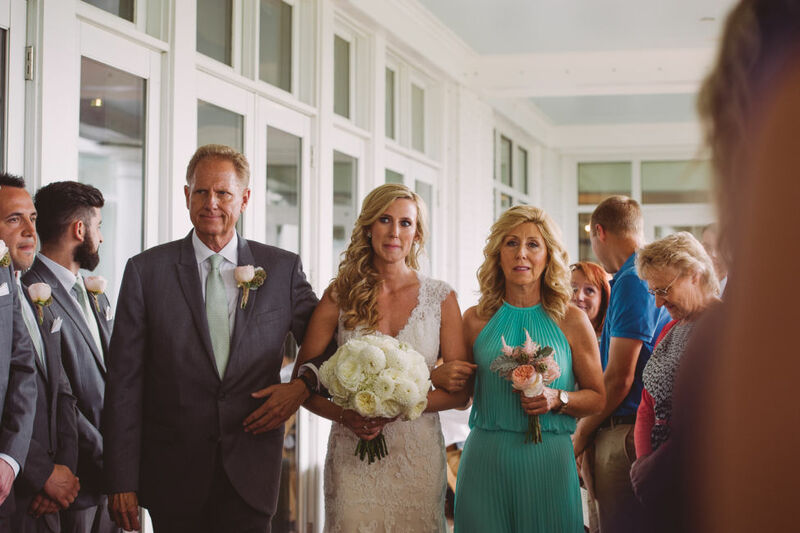 My mom and older sister also wore the ring on their wedding day. 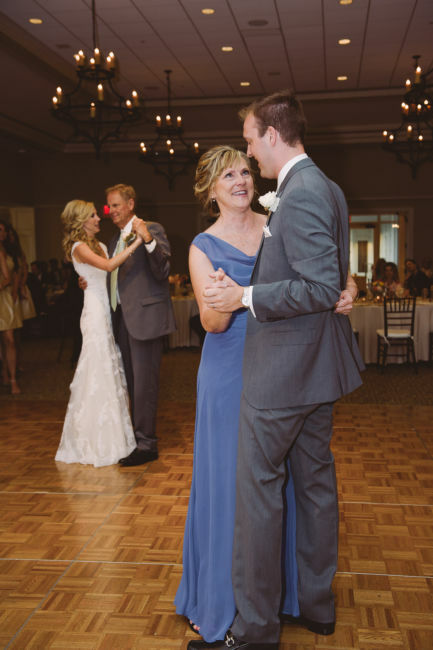 Due to health reasons, my grandmother couldn’t attend the wedding, so it meant a lot to have a piece of her with me that day. 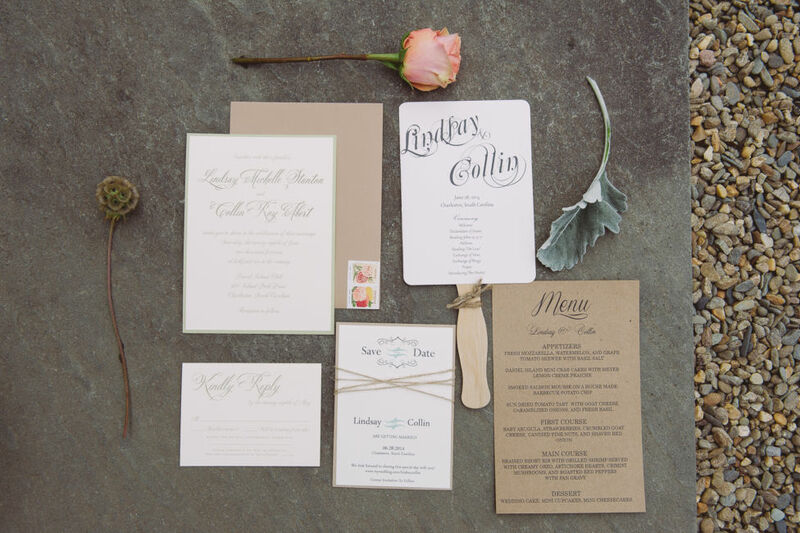 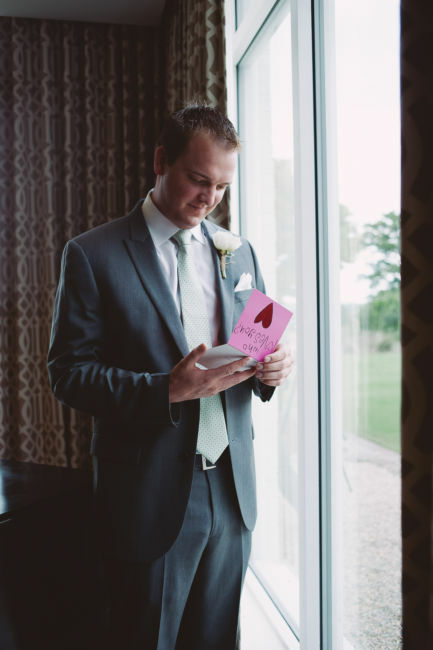 Collin and I exchanged letters before we saw each other for our first look. 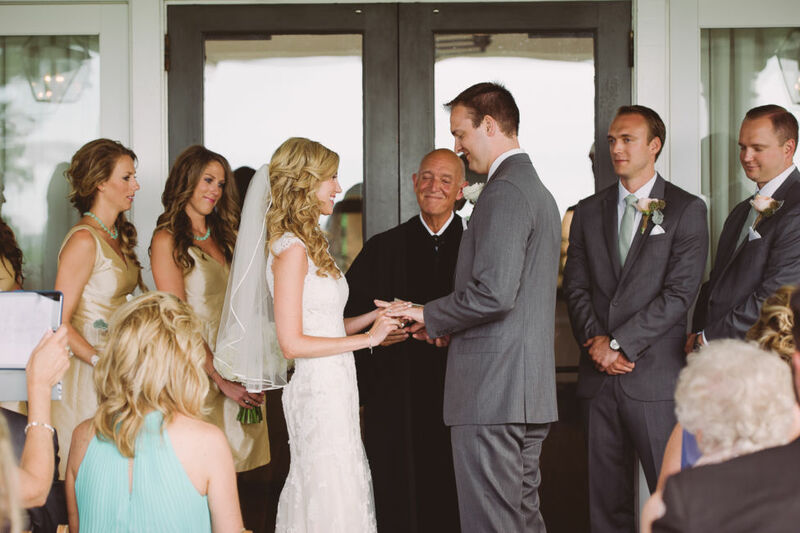 It was our version of writing our own vows before we said traditional ones during the ceremony. 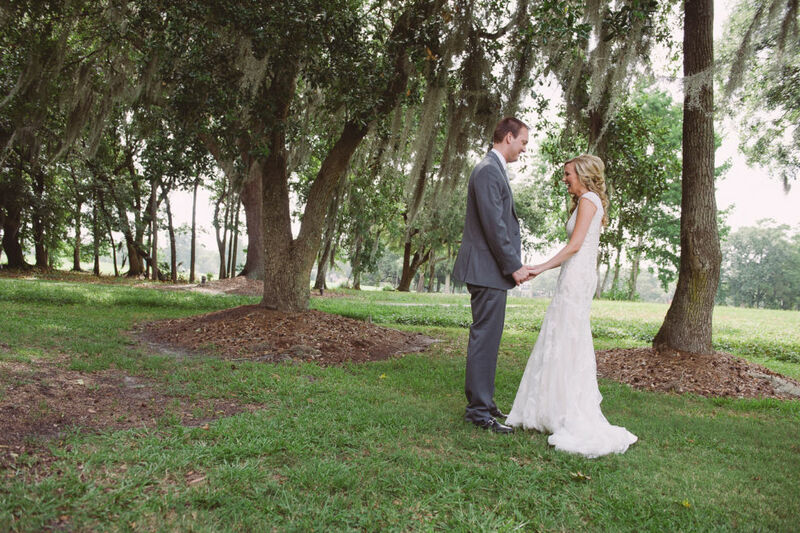 Collin and I decided we wanted to do a first look and share time together before the ceremony. 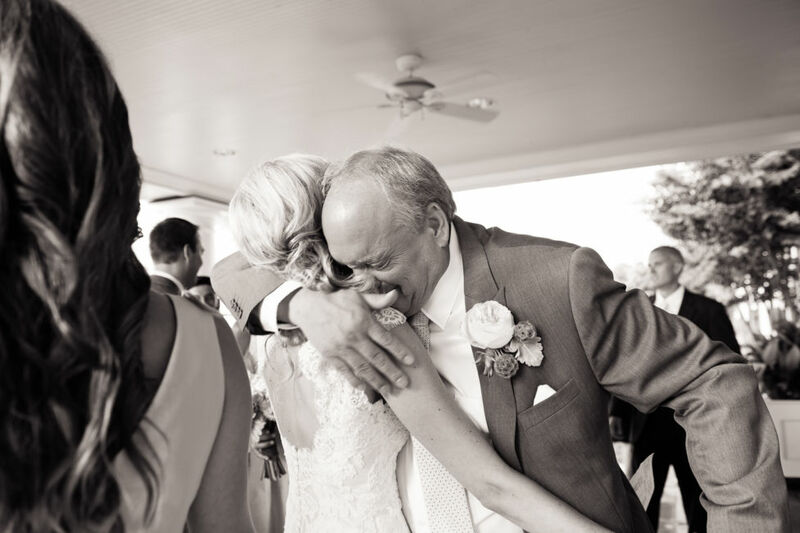 I’m so glad we did – it was one of my favorite moments of the day! 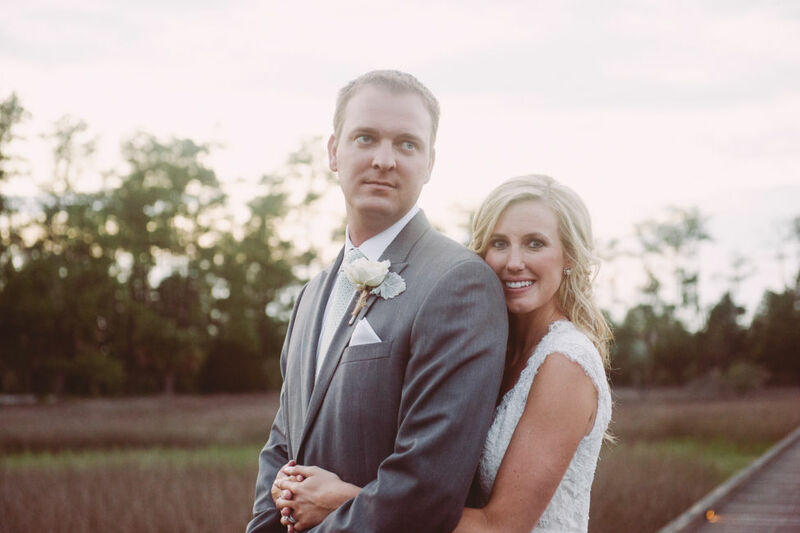 Thank you to Amy Kay for being my second shooter! 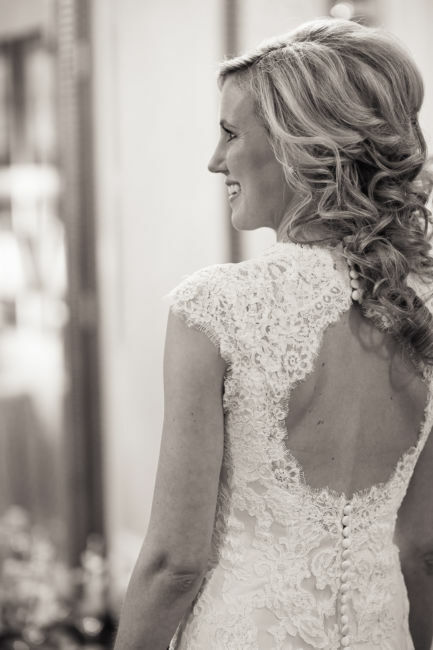 Hair & Makeup: Ash & Co.